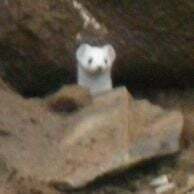 The high res. 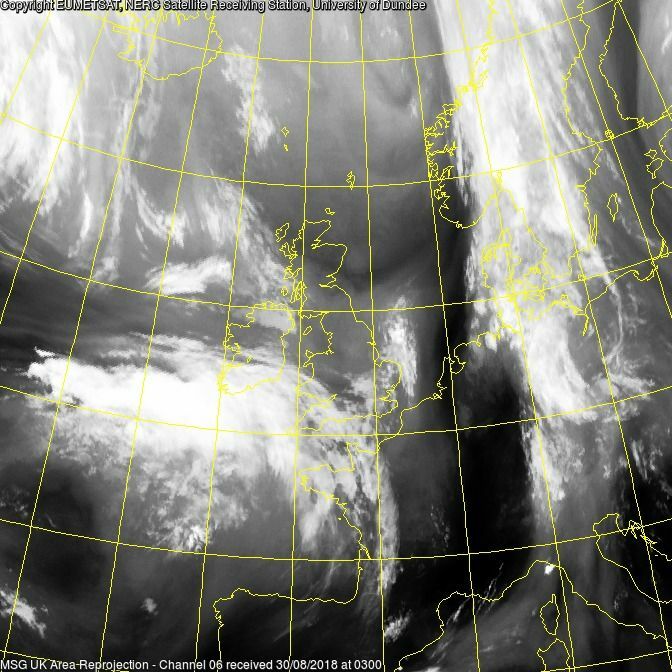 MODIS at 1150 UTC. 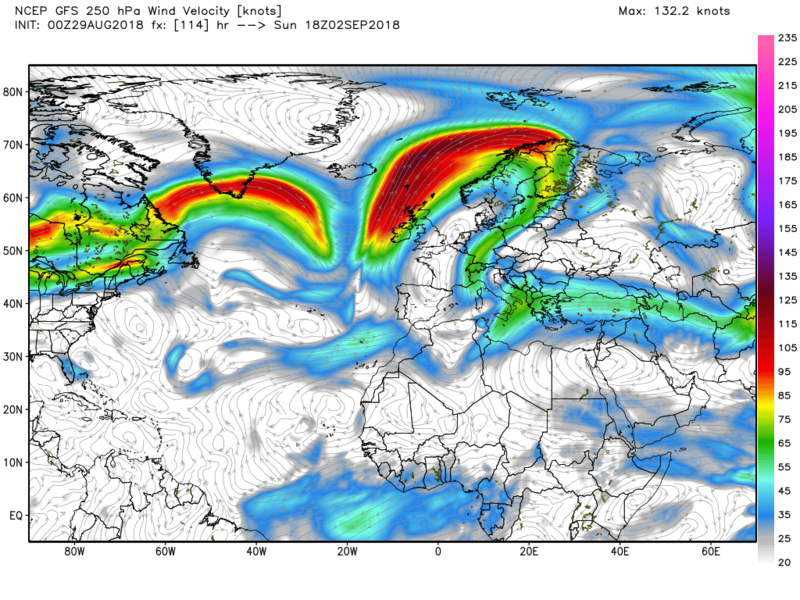 A few 'waves' around in the westerly flow. 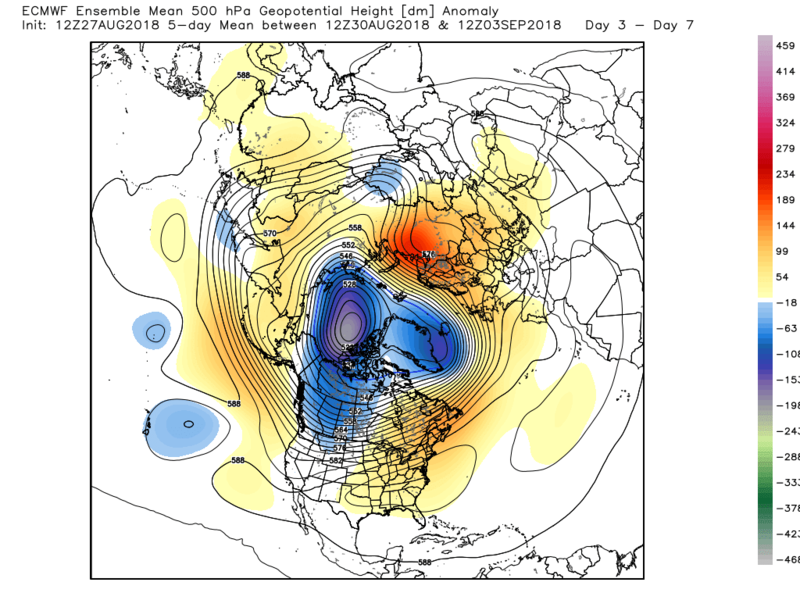 Last evening’s EPS mean 500mb short range anomaly indicating some retrogression of the trough to the north west that would tend to back the upper flow a tad further west and thus facilitate the Azore’s HP ridging north east and the influence of high pressure over the UK albeit still tending towards a N/S split to some extent. 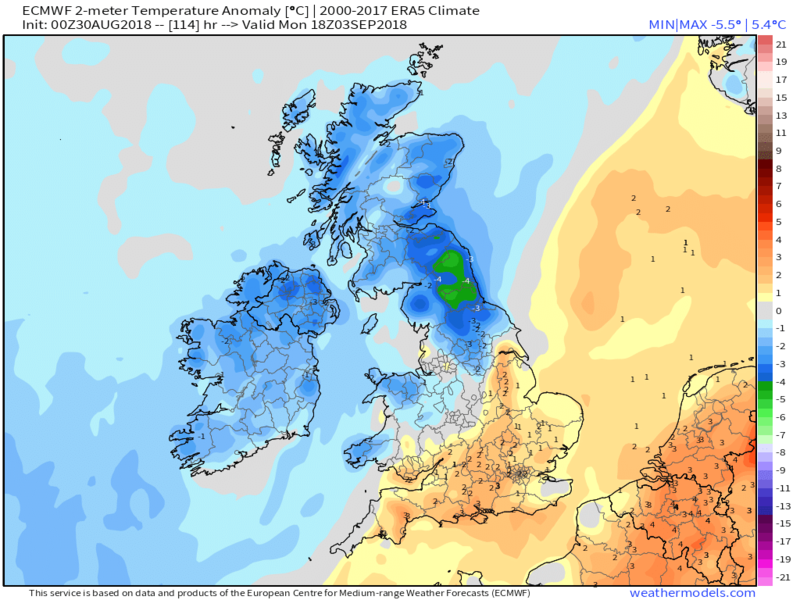 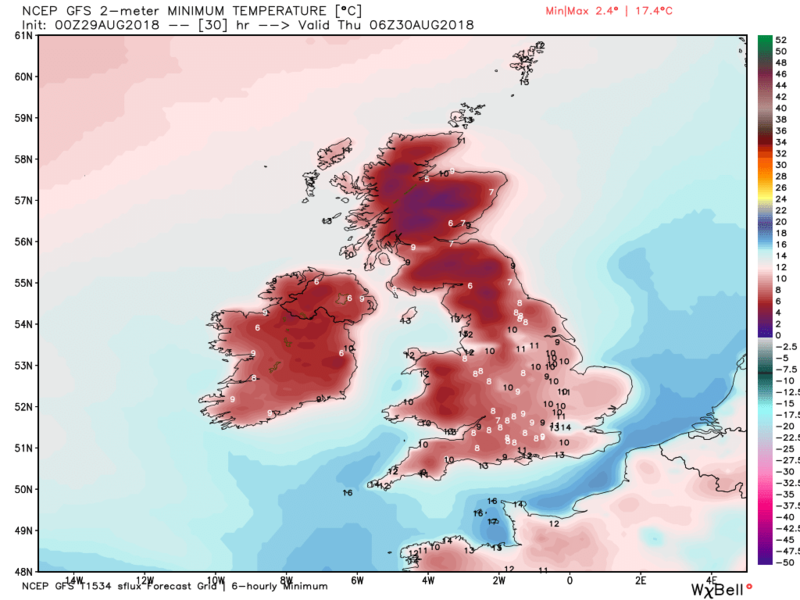 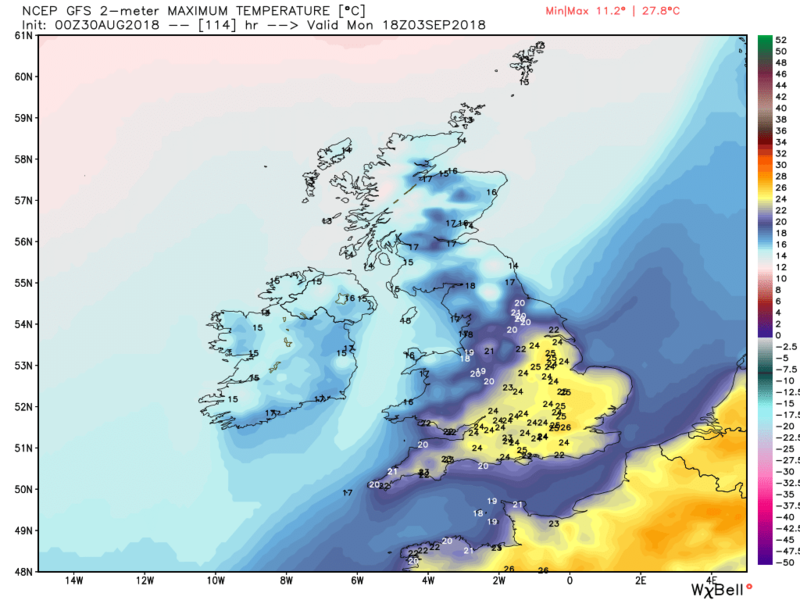 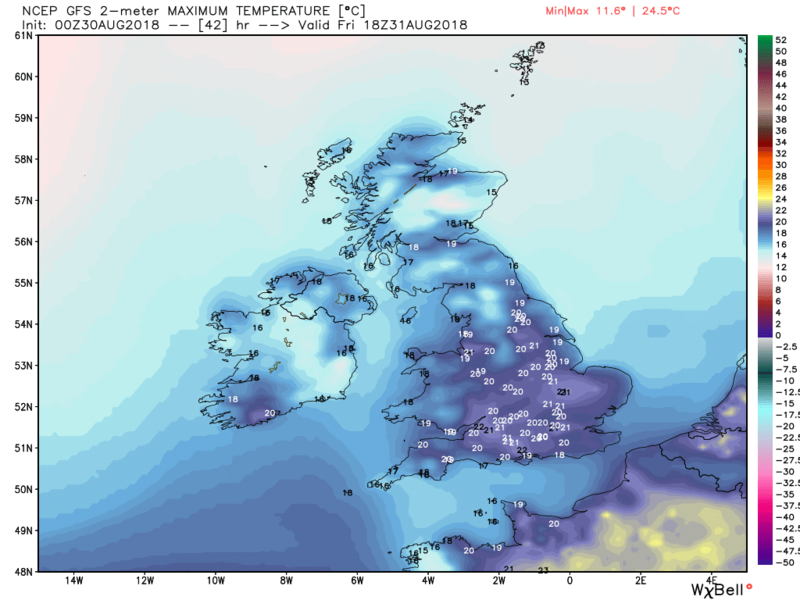 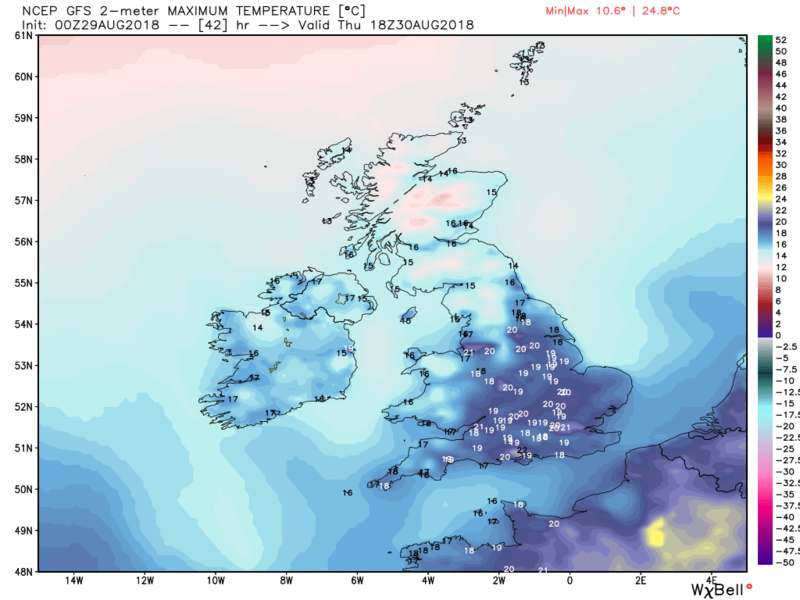 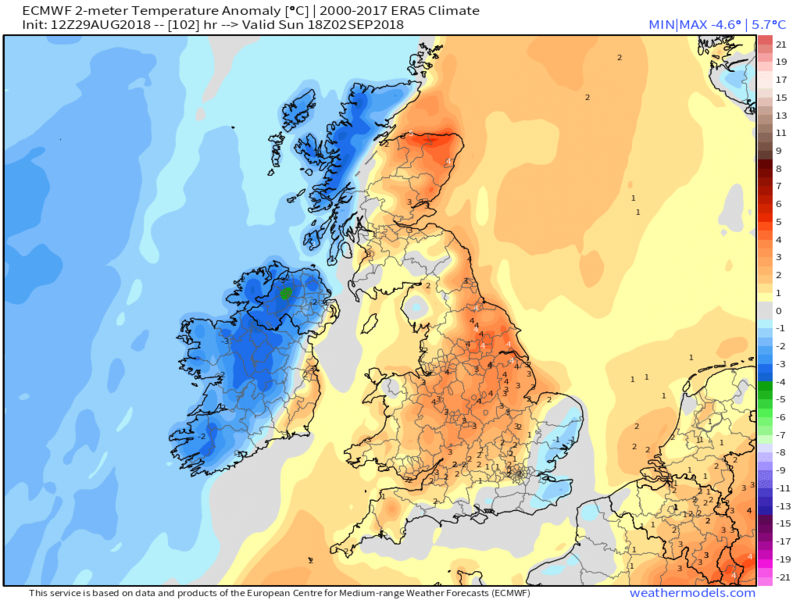 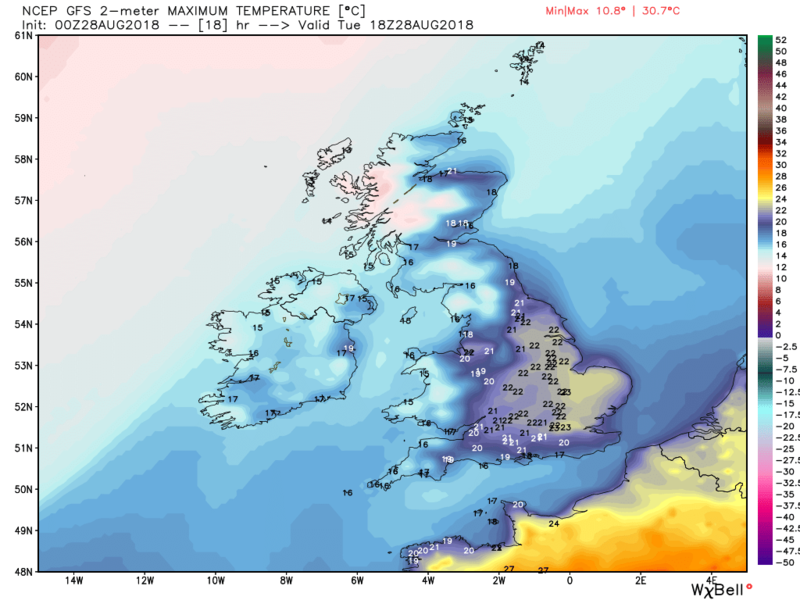 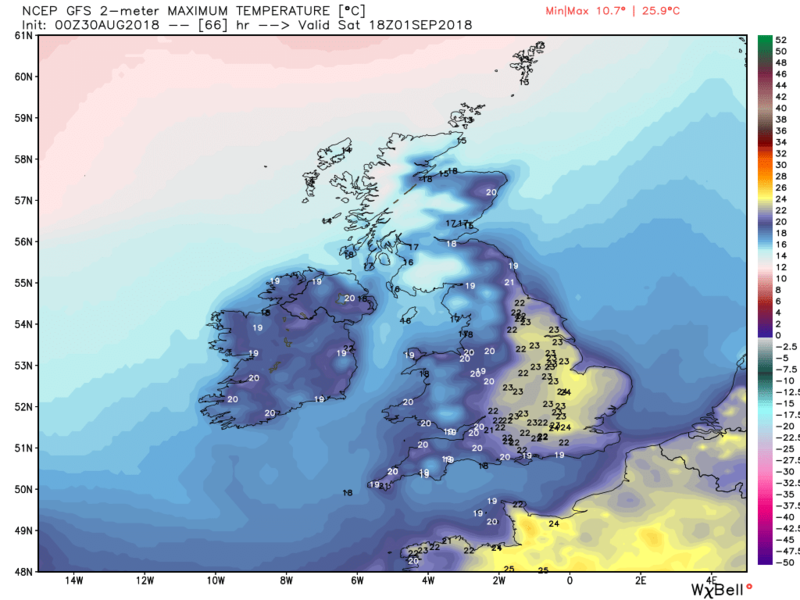 Temps would then rise a little from just below average to just above but perhaps with a fair bit of regional and diurnal spread and generally quite dry. 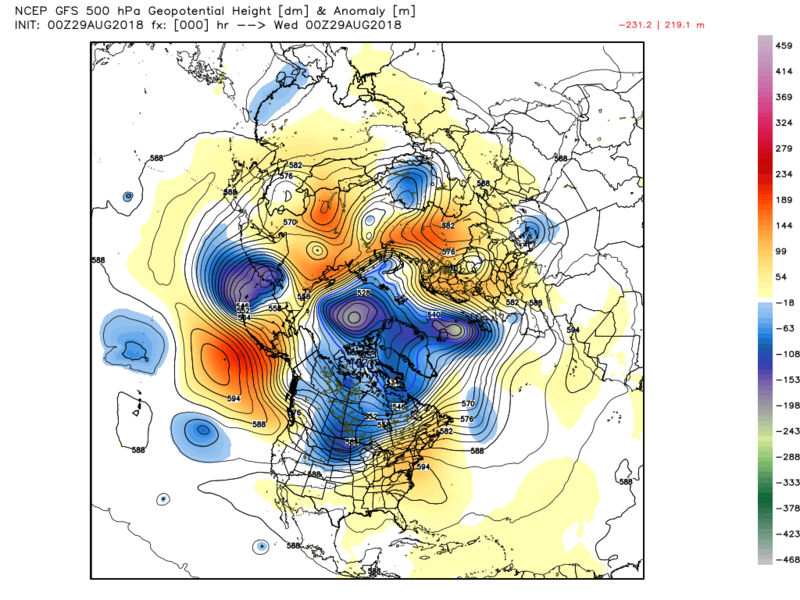 This should become apparent on the overlap at the end of the short range if the prognosis is on the money. 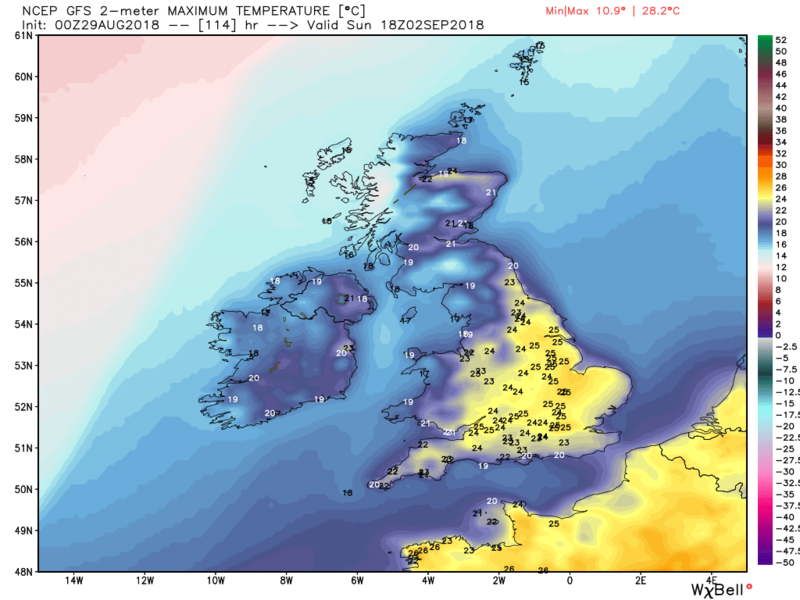 Back to the here and now and not a bad day in prospect in most areas with some early morning Sc tending to break up during the day so a fair bit of sunshine and feeling quite warm in the light winds. 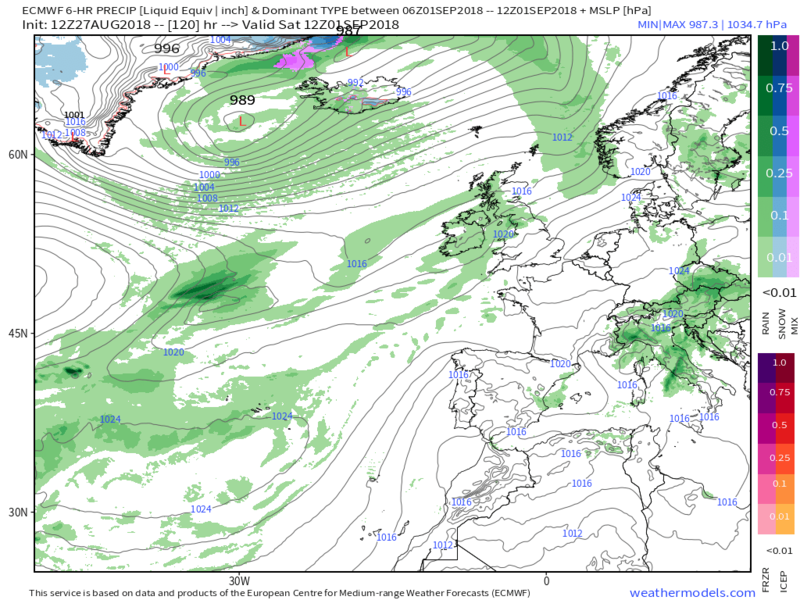 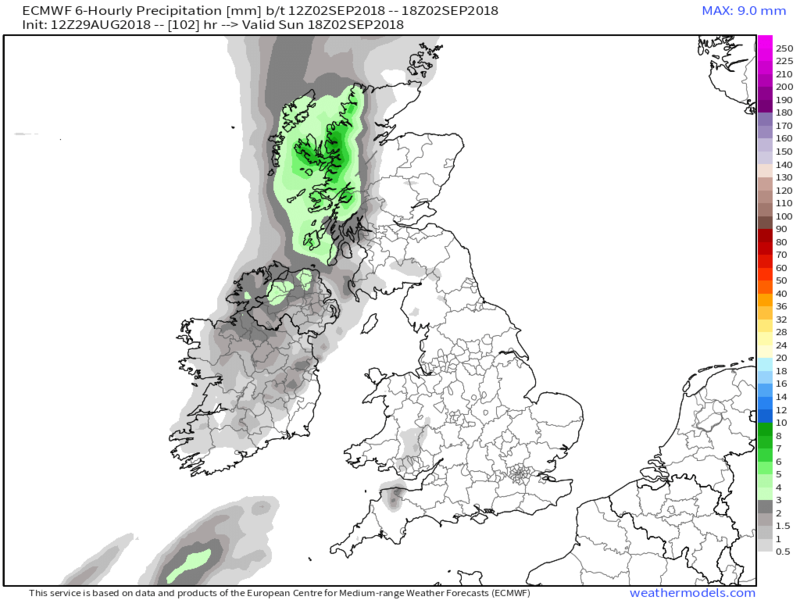 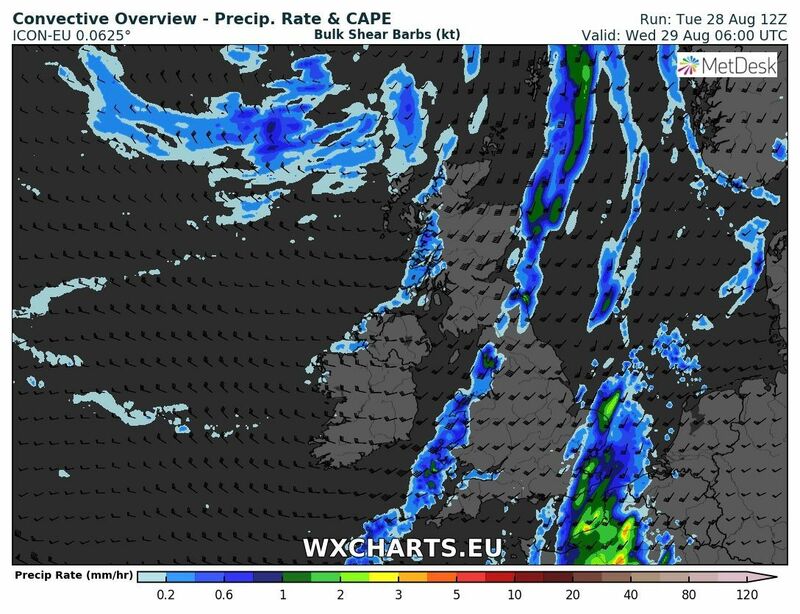 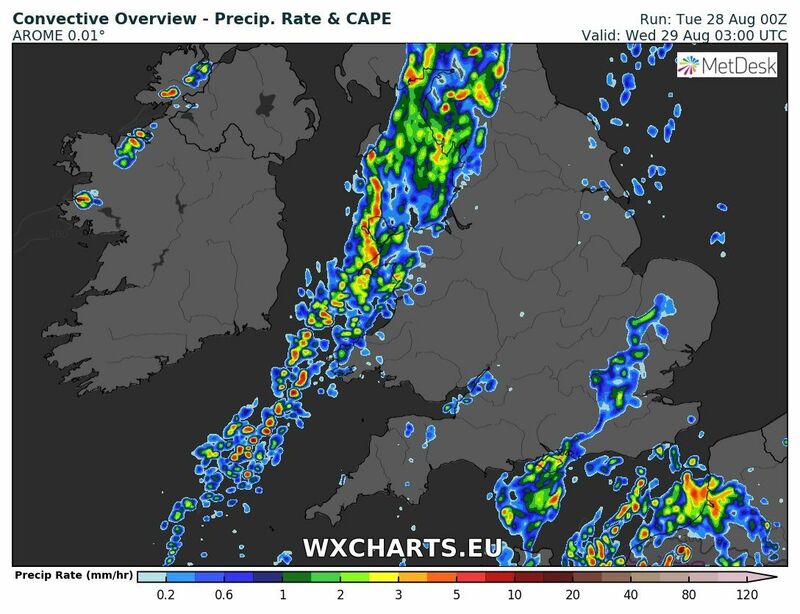 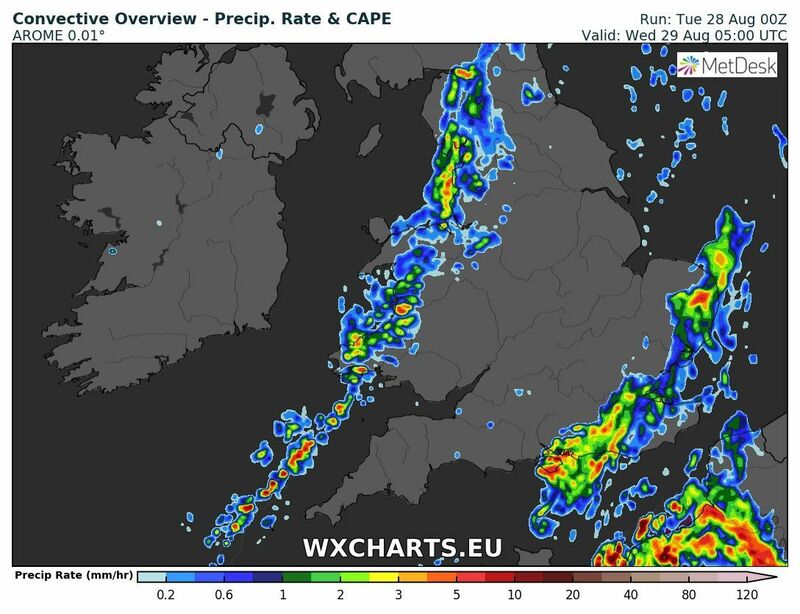 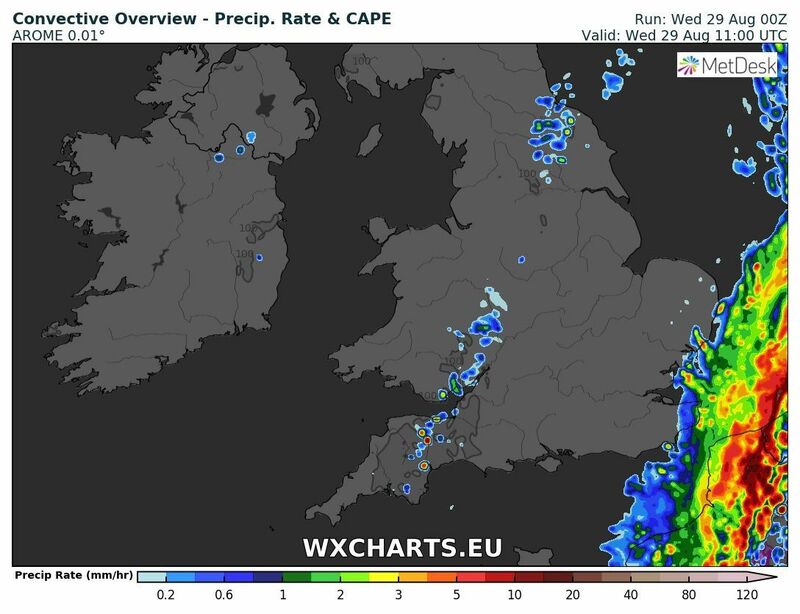 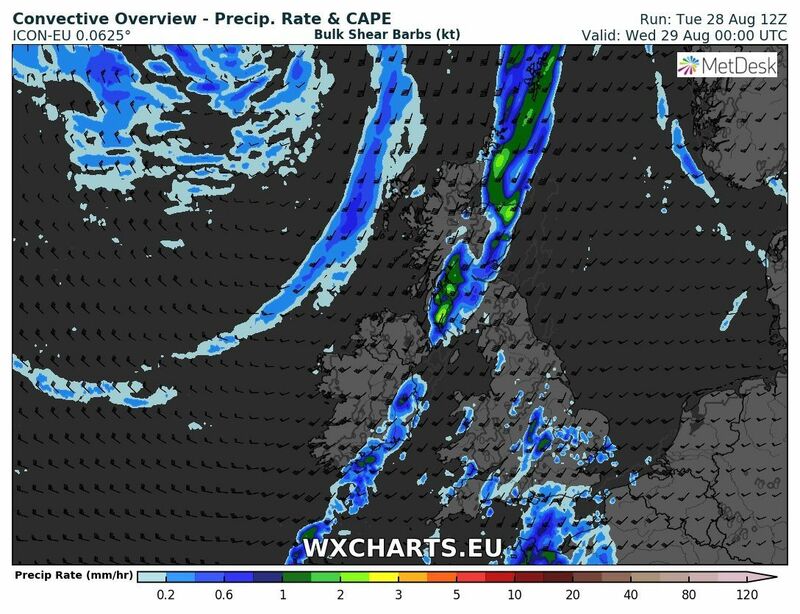 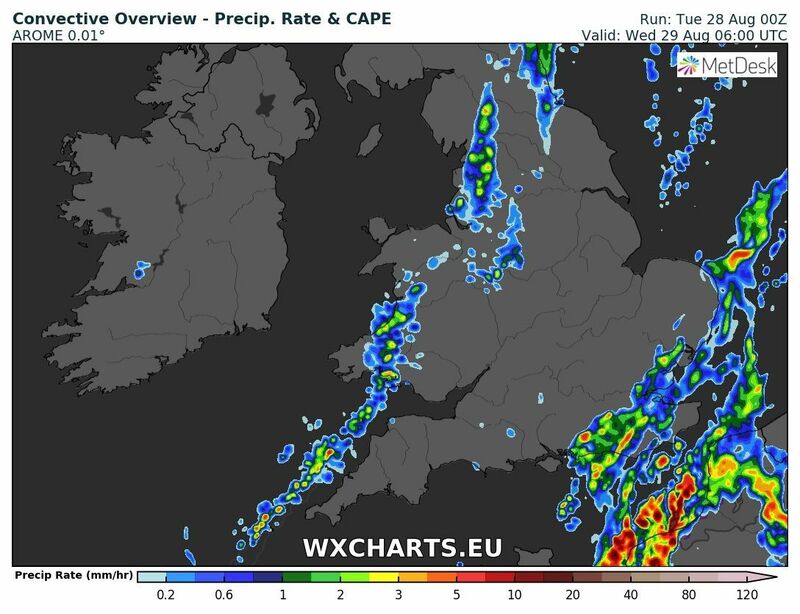 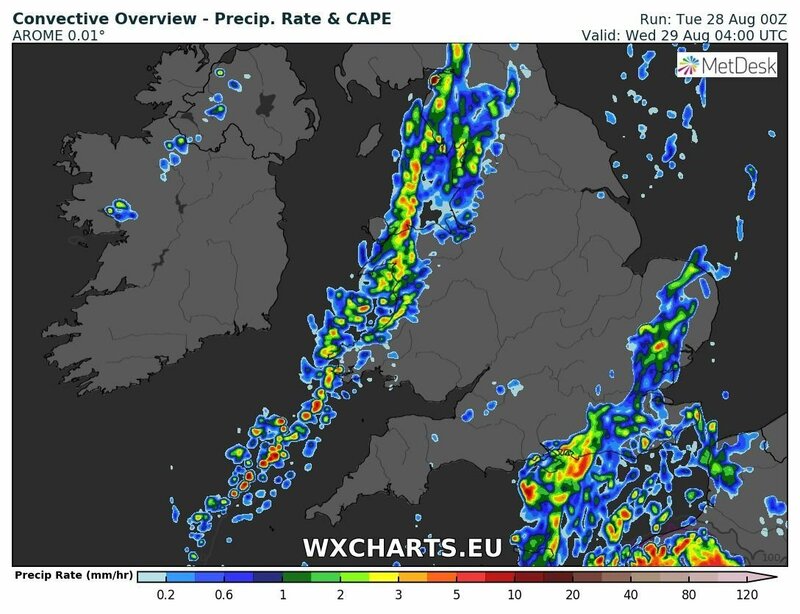 But during the afternoon a band of rain from the front associated with the low south of Iceland will edge into N. Ireland and western Scotland and progress slowly south east. 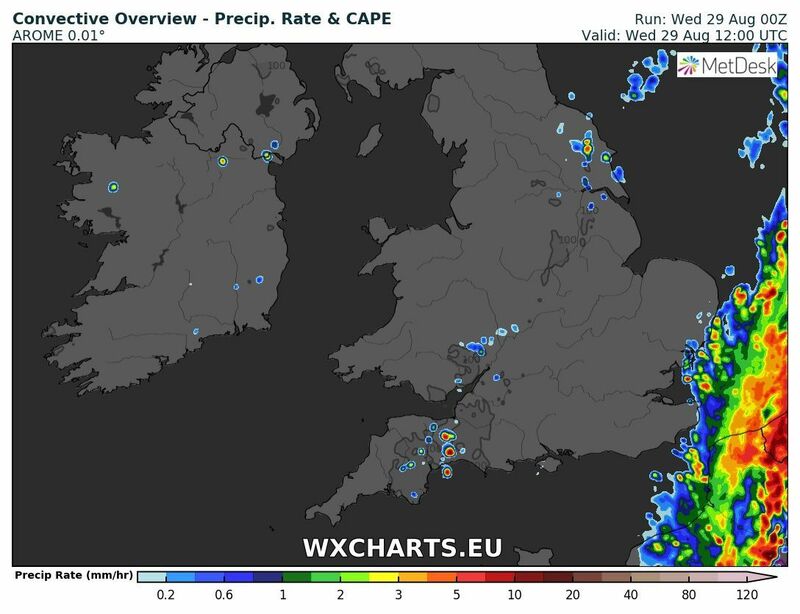 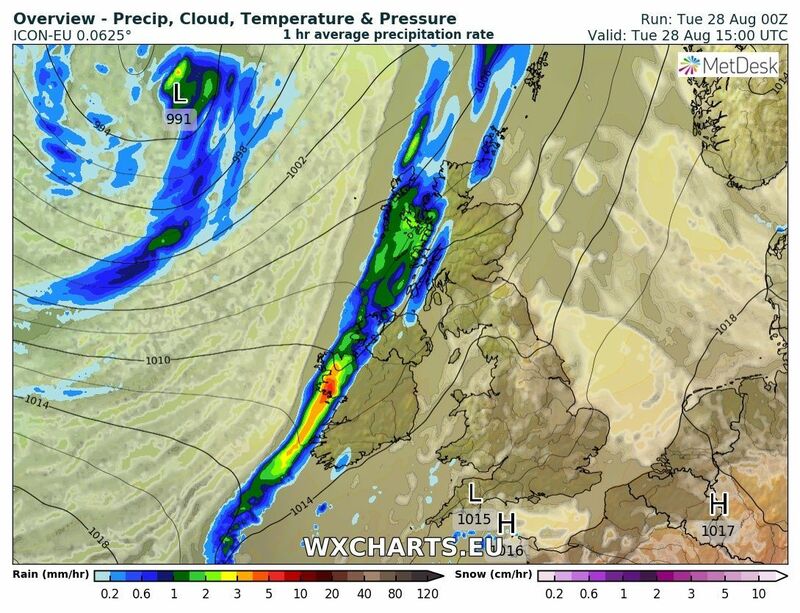 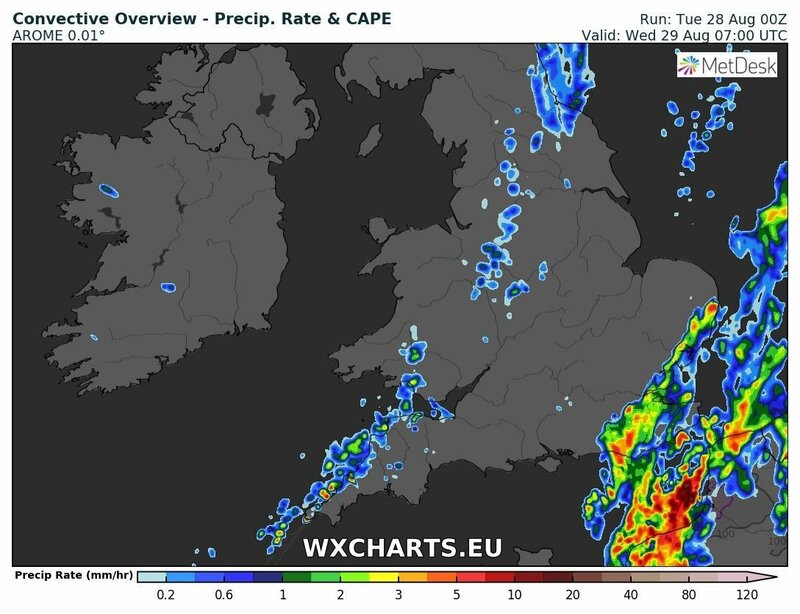 Apart from the cold front continuing to track south east overnight and through Wednesday, weakening en route, a further complication is the thundery outbreak (mentioned in earlier posts) over France that is likely to track north east during the early hours of Wednesday and impact the south east. 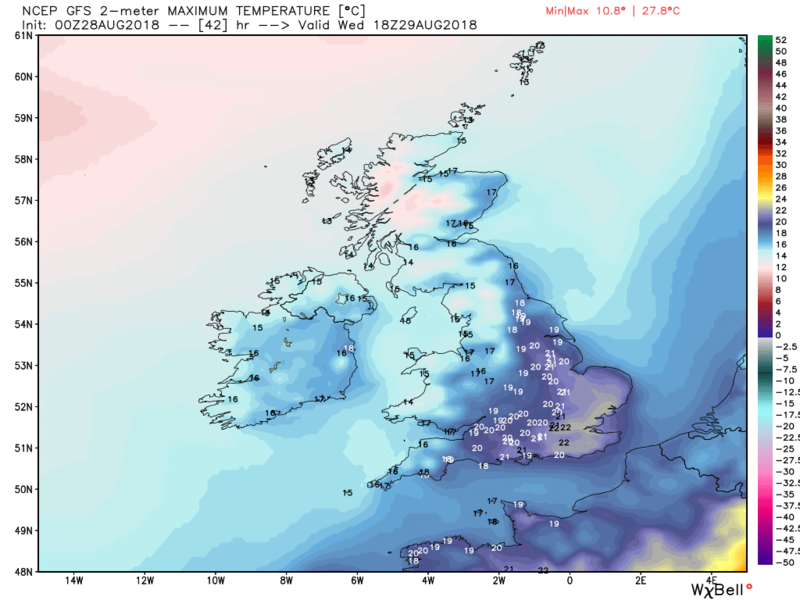  Apparently there is still uncertainty about the detail of this. 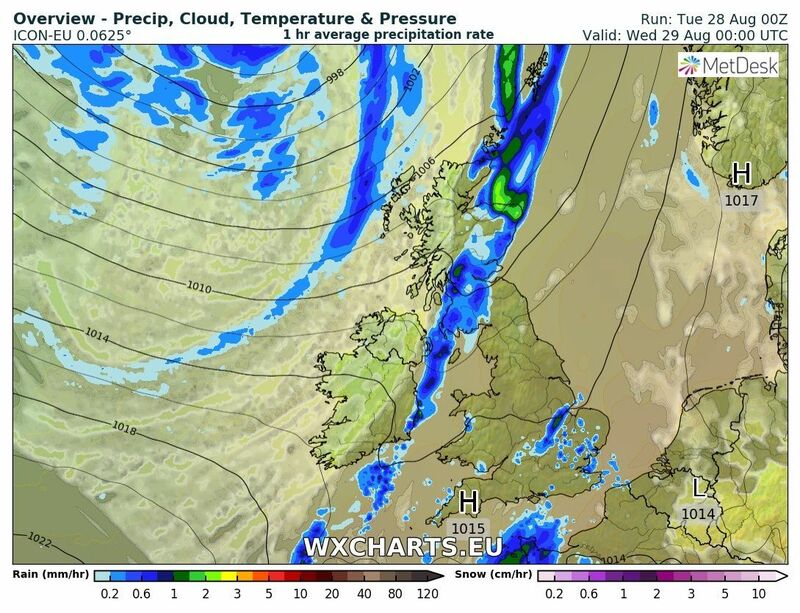 Behind the front in the north cooler and showery weather. 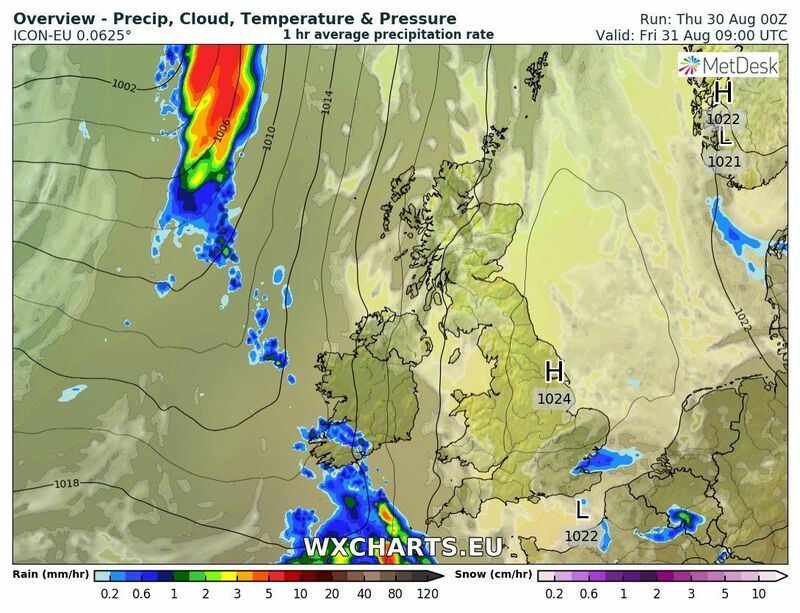 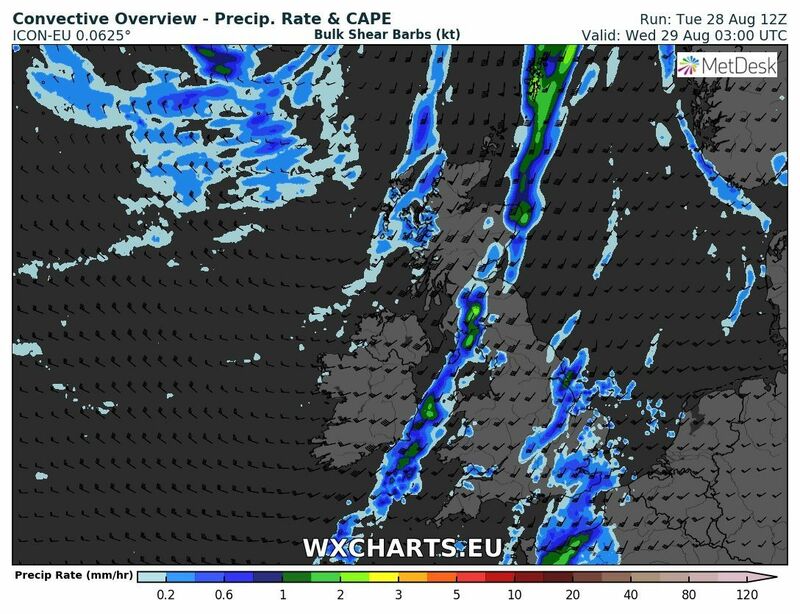 By Thursday the weakening front is away to the south east and a ridge quickly builds over the UK portending a not unpleasant day with broken cloud and sunny intervals with temps around average. 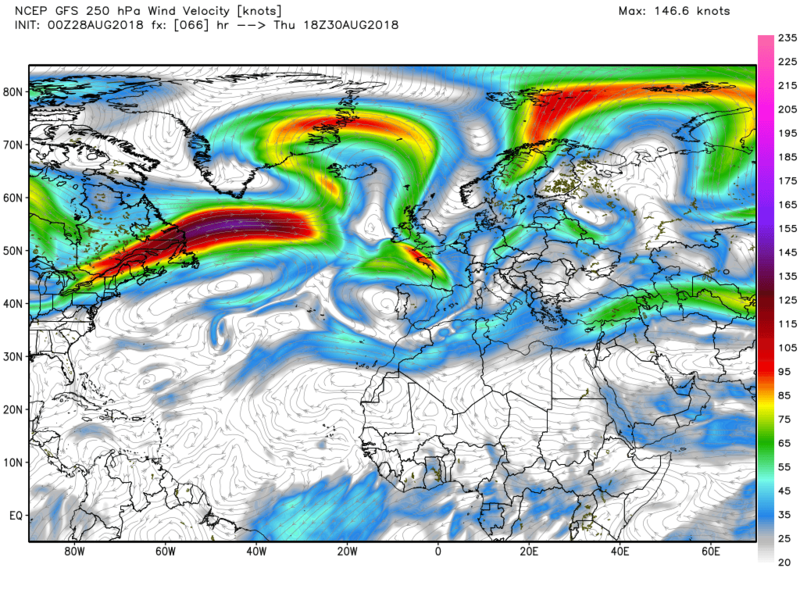 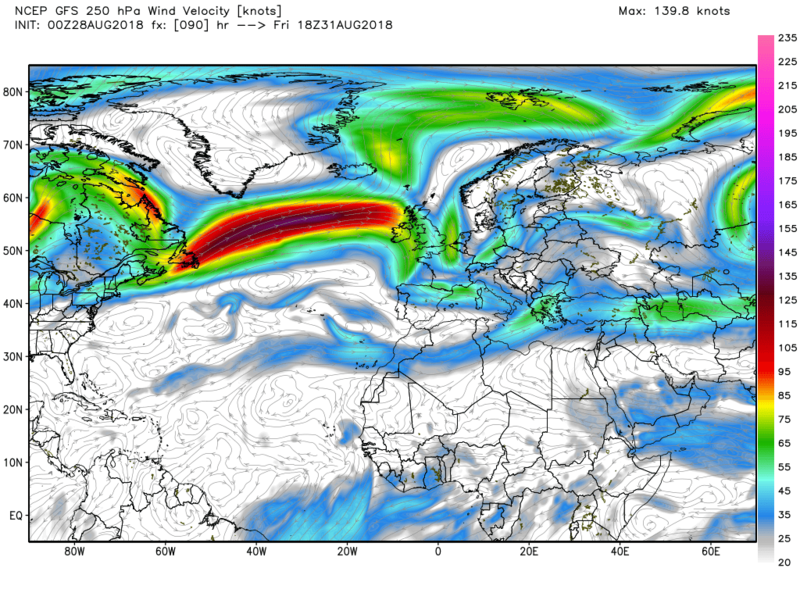 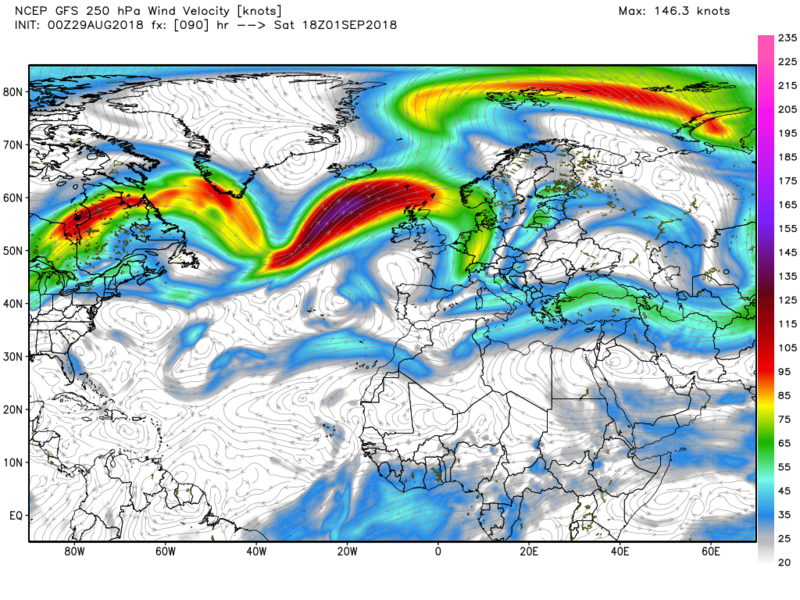 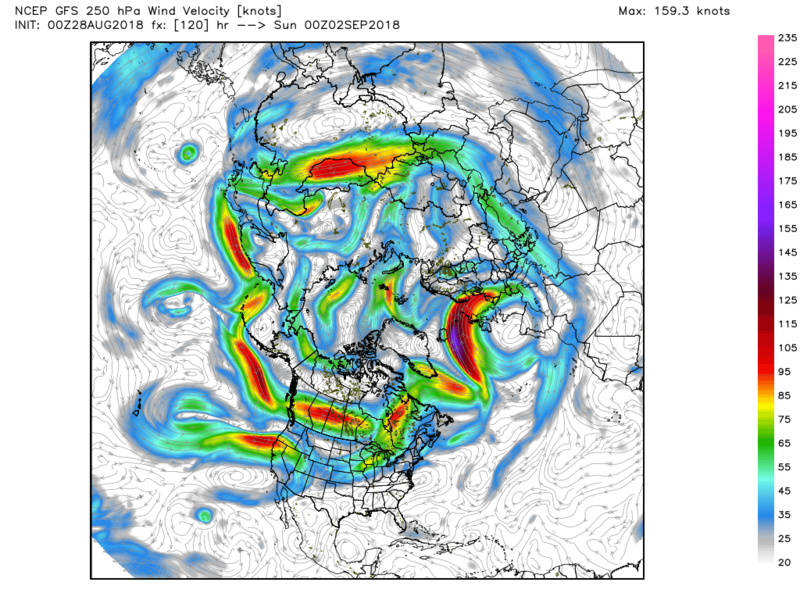 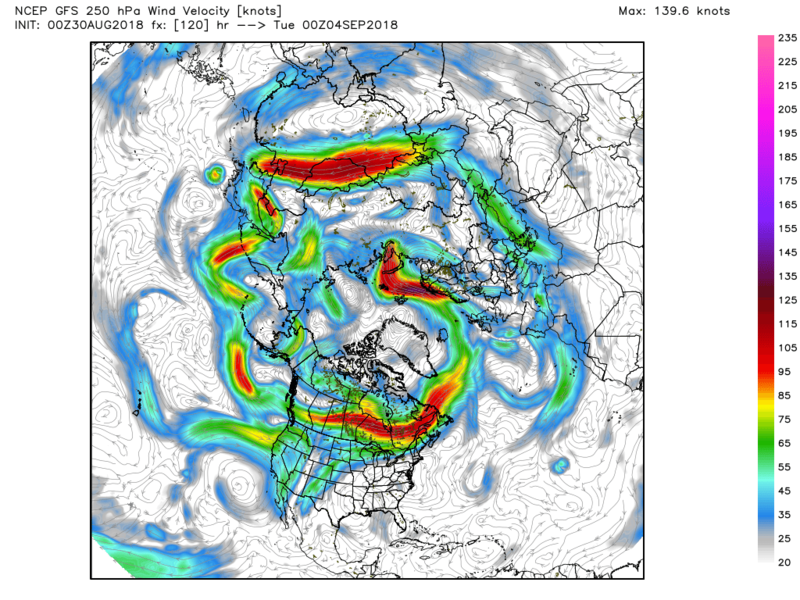 But it worth noting here (as mentioned last evening) the arrival of another lobe of the vortex over southern Greenland with a lot of energy flowing east to the south of it. 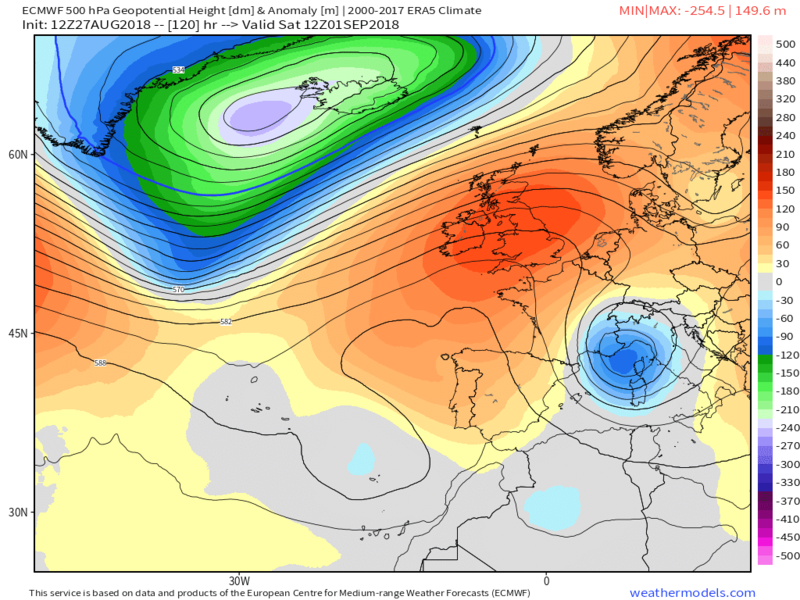 Thus by Friday the pressure on the ridge is slowly taking it's toll and although another pretty good day is on the cards with again broken cloud and sunny intervals after a chilly start, cloud and some rain will arrive in the north west from a plethora of fronts associated with the deep surface low in the Denmark straits. 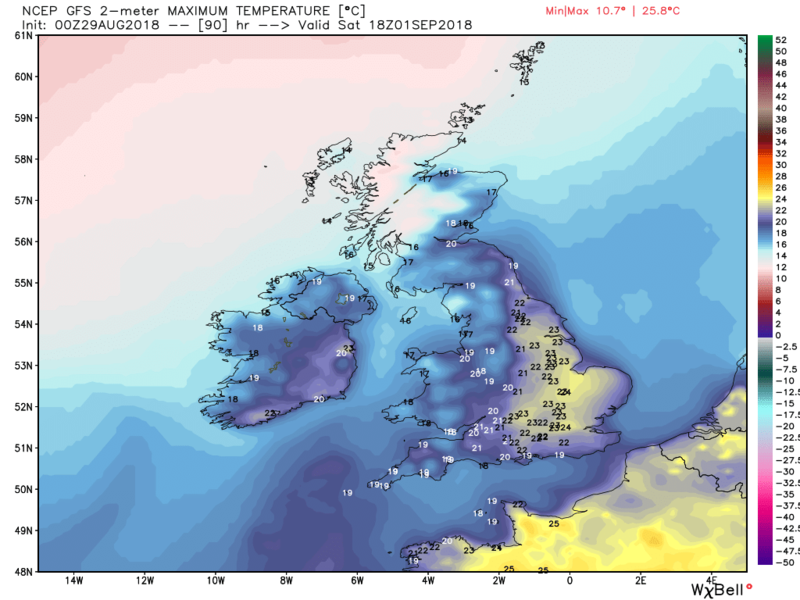 And on Saturday the aforementioned fronts will track south eastwards down the country, weakening against the ridge as they go, so probably only light, patchy rain and staying dry and quite warm in the far south. 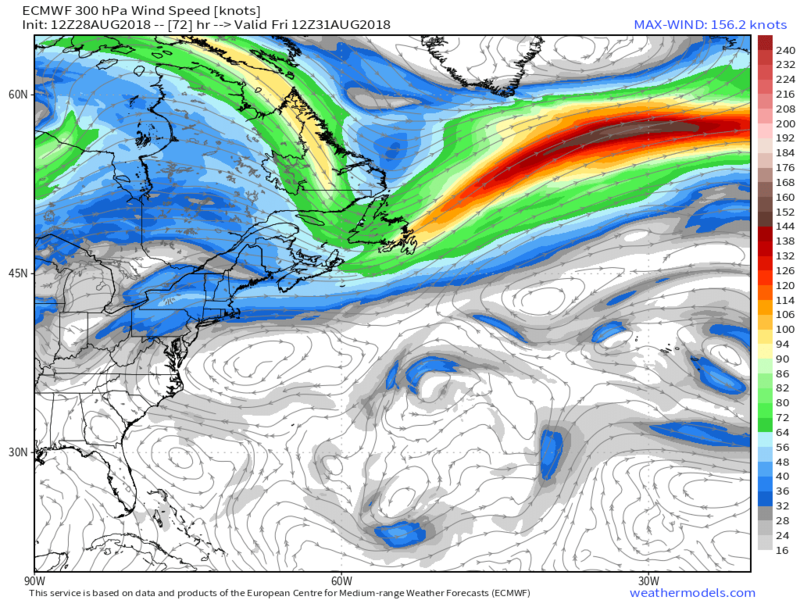 And so to the NH profile at T120 and to the question posed yesterday evening, are we going to get agreement on the evolution of the developing Atlantic trough? 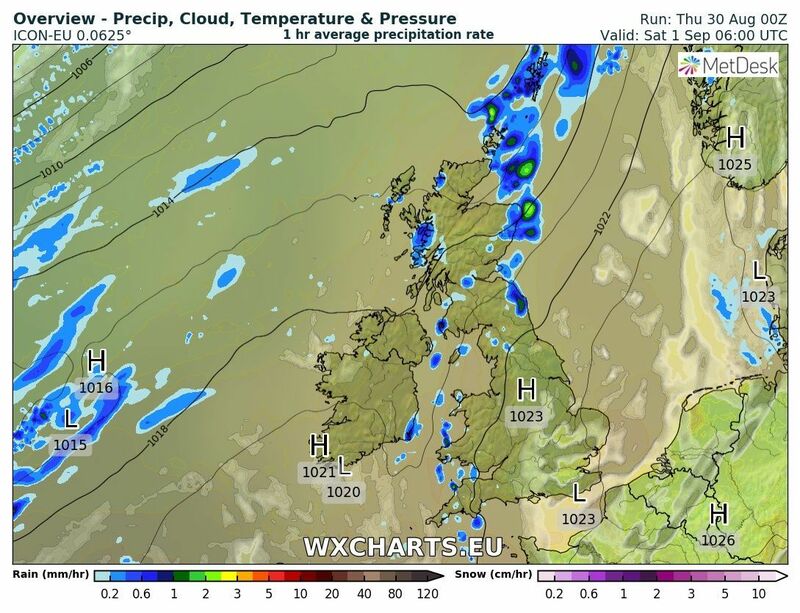 A fairly clear night in many areas but the weakening cold front will continue to track south east along with cloud and some patchy rain before fizzling out. 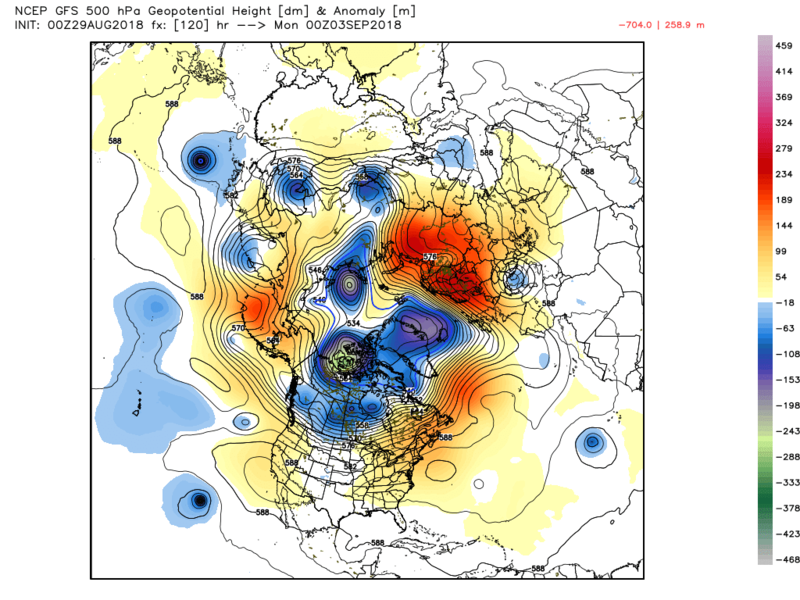 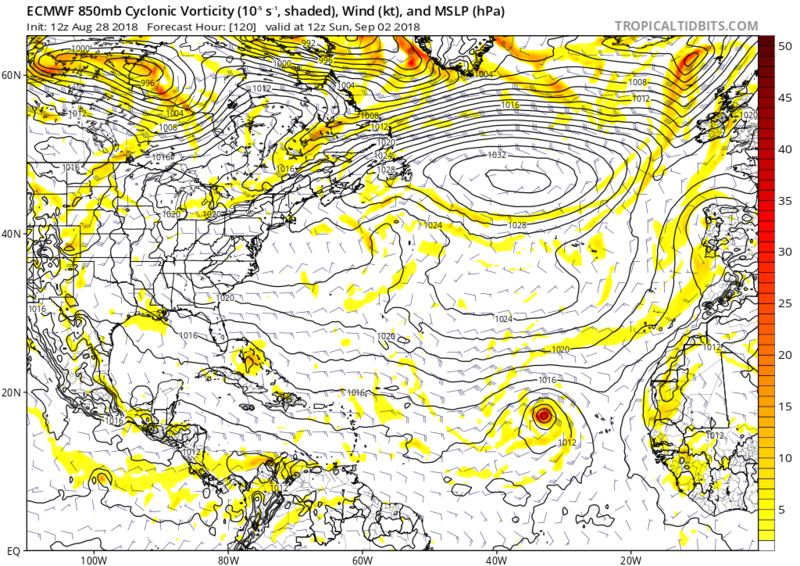 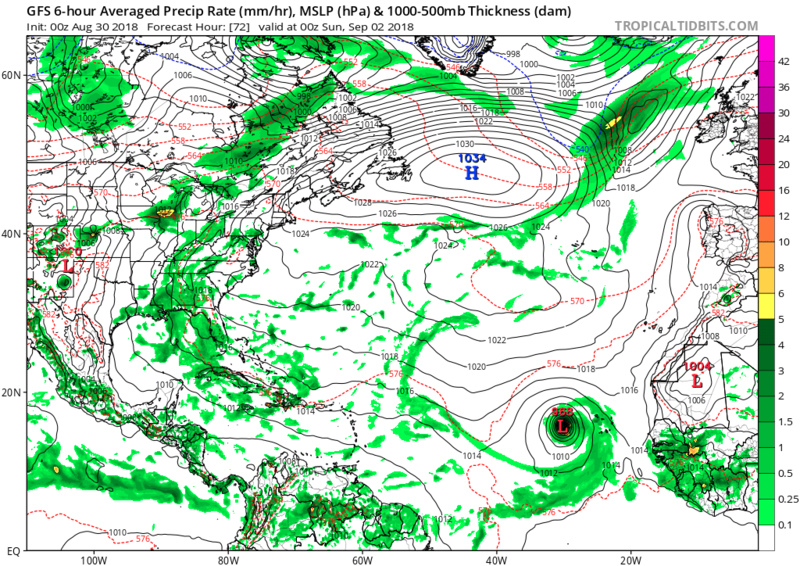 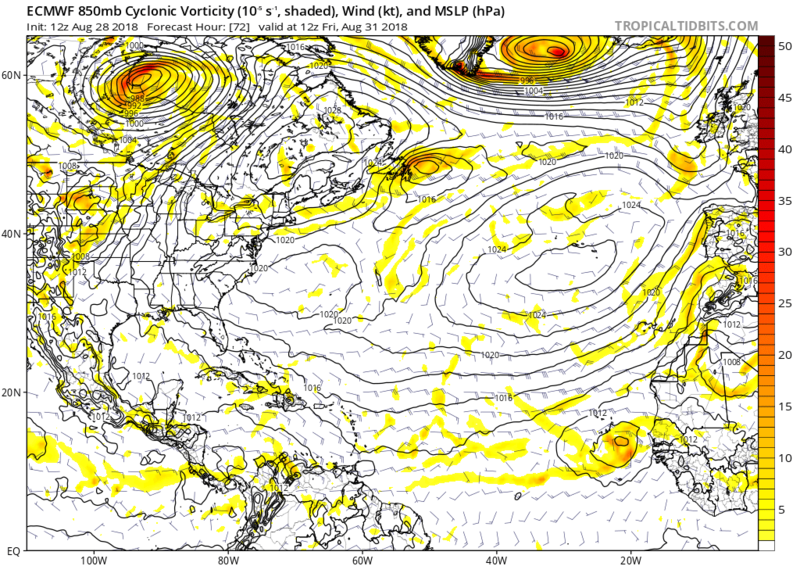 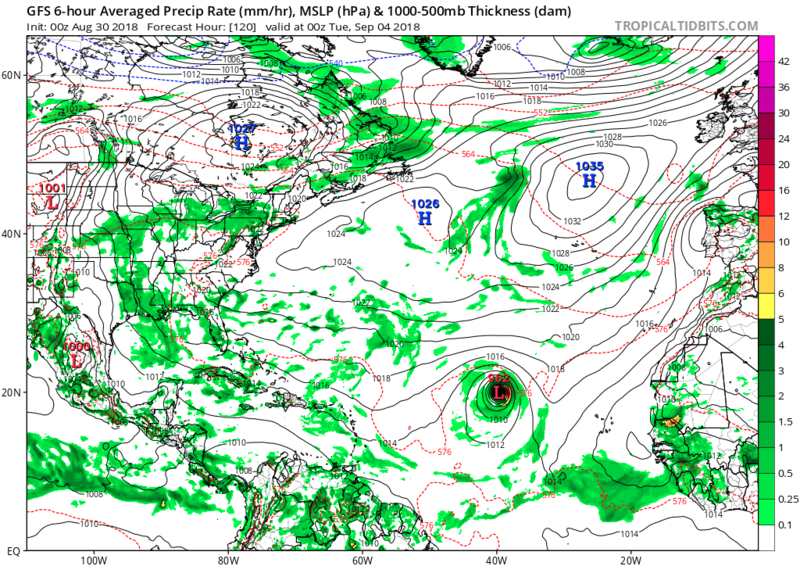 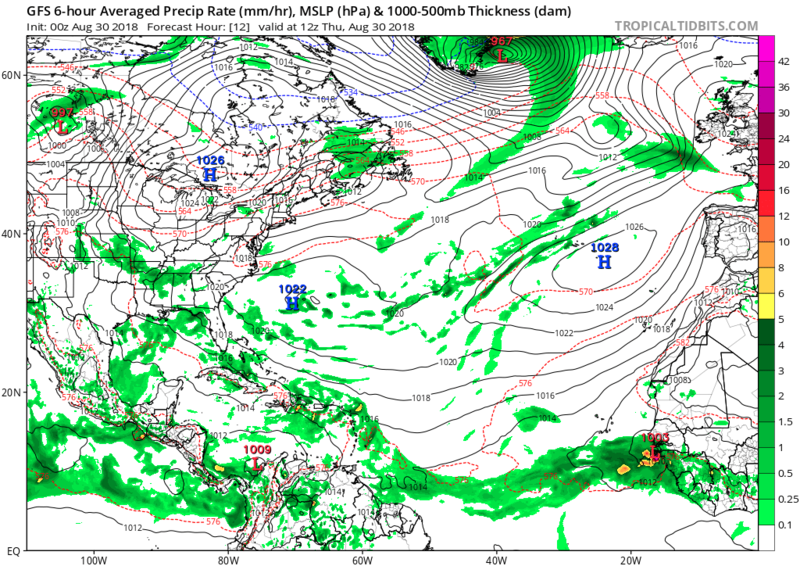 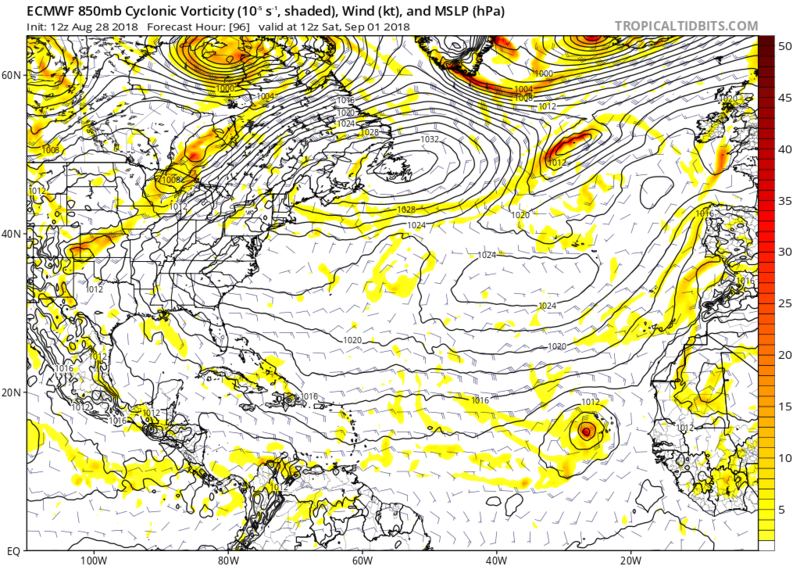 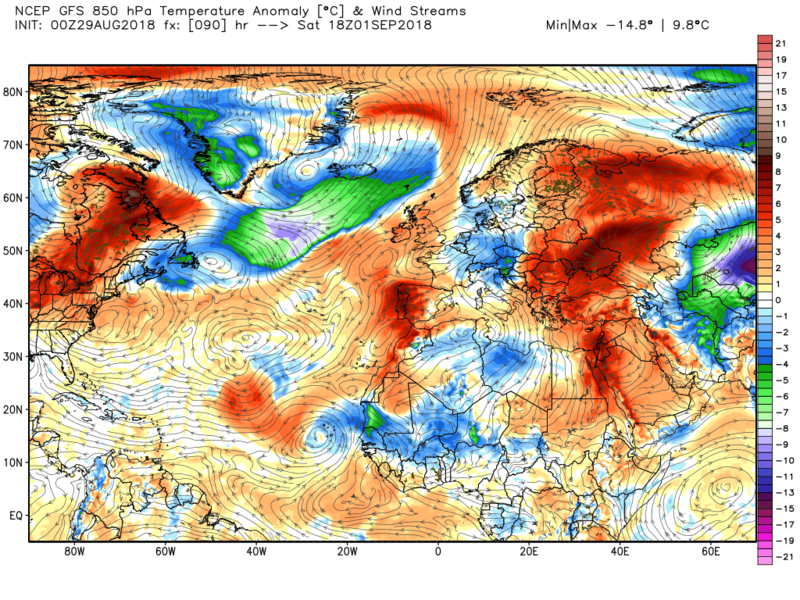 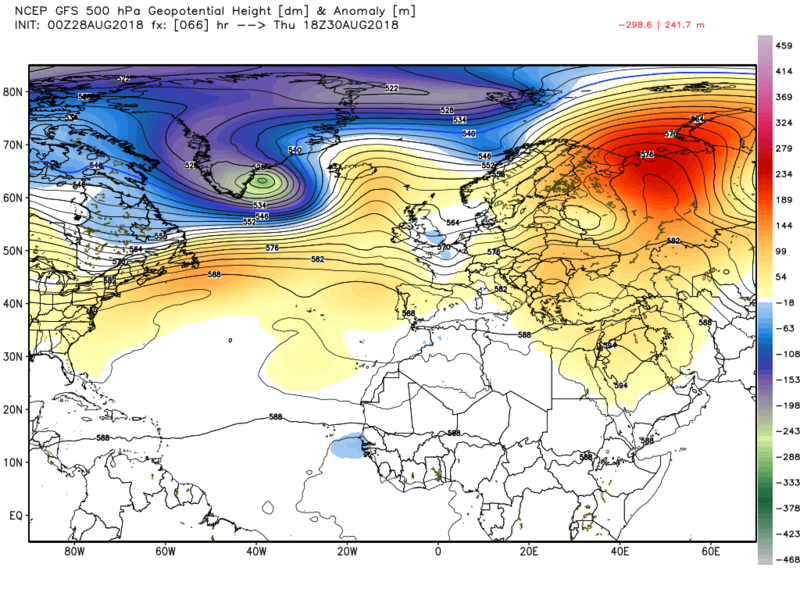 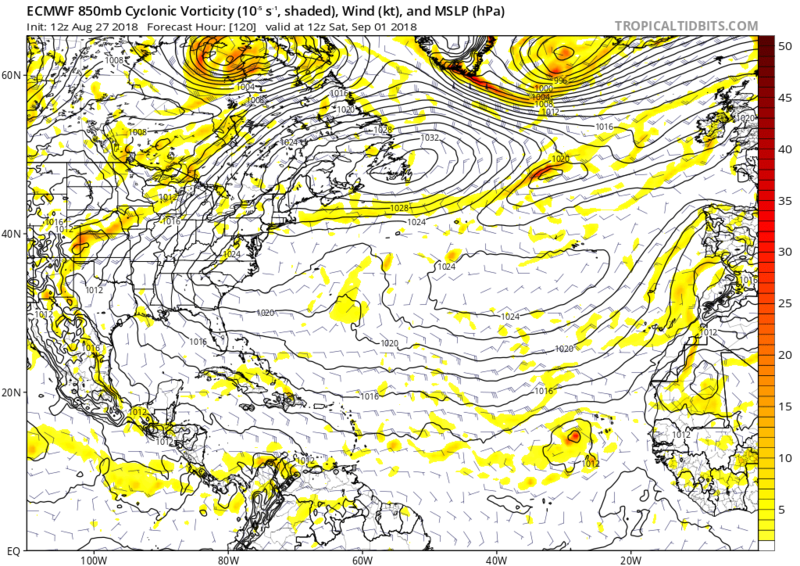 The gfs disrupts the Atlantic trough and forms another cut off upper low just after T120. 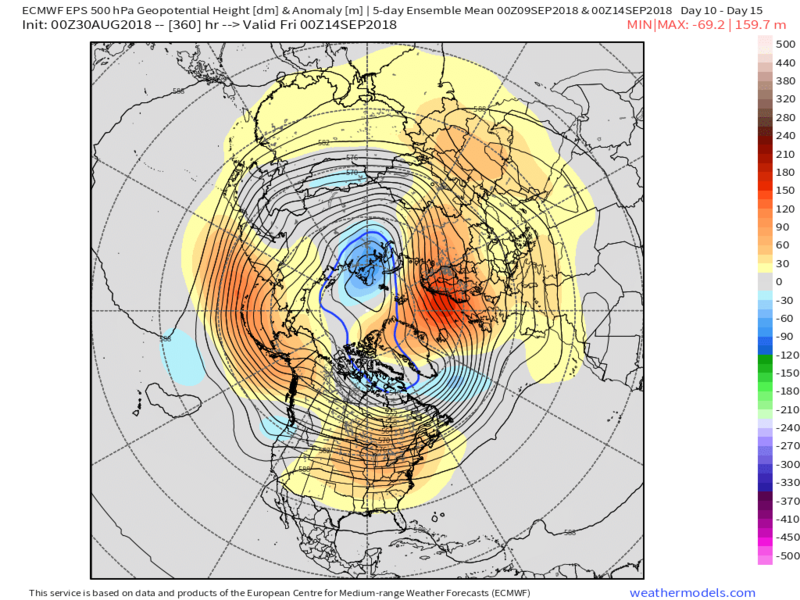 The ecm doesn't. 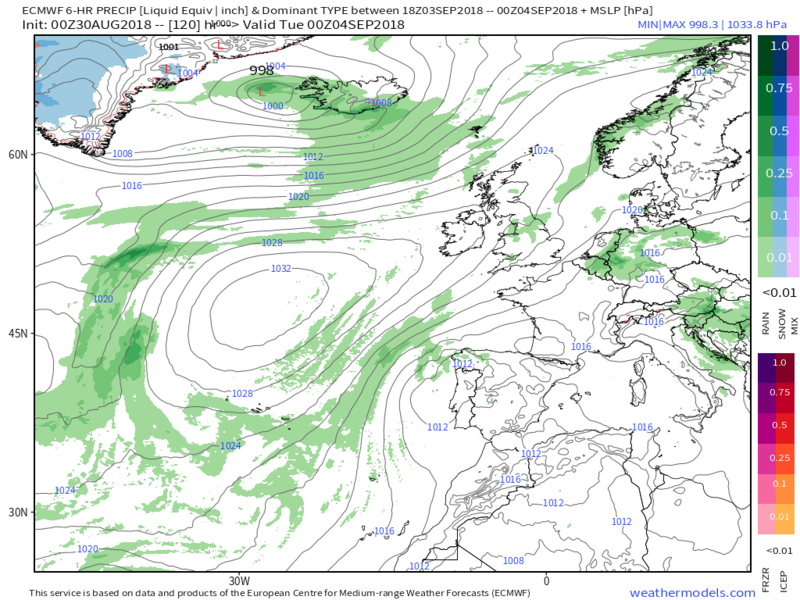 But it does, still, form a low in the baroclinic zone off the coast of north east N. America and run it north east on the jet to eventually bring some wet conditions to western regions of the UK by midday Sunday. 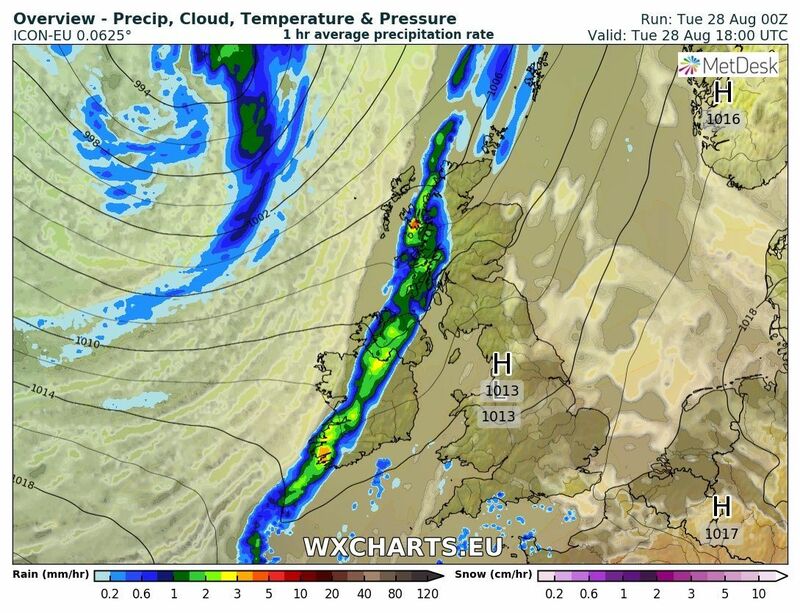 which leads on to the unfolding picture today of the cold front continuing to track south east with some patchy rain that eventually fizzles out leaving just a cloudy scenario whilst the wodge of cloud over France indicating a fair amount of thundery activity, which is currently introducing some showers in the south east, will track north east over the next few hours with some storms just impinging on the SE. 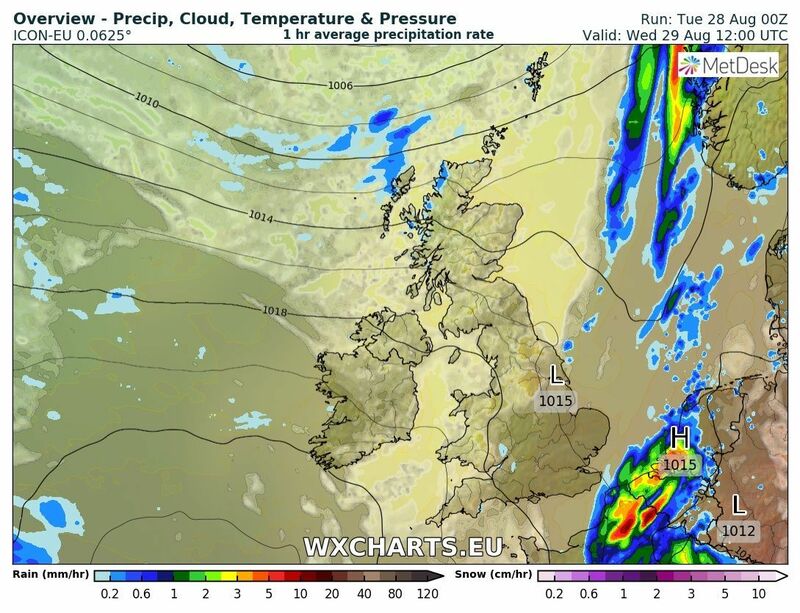 Behind the cold front much cooler air and some showers, mainly along NW coasts. 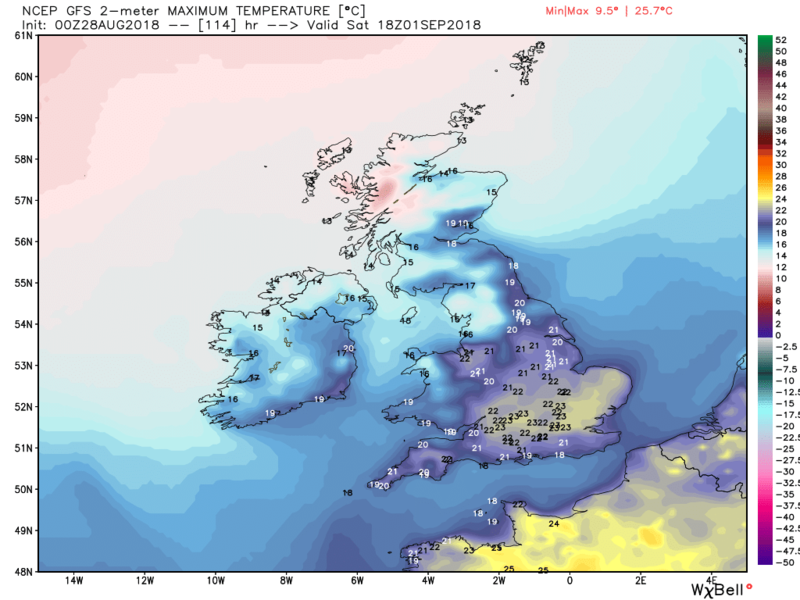 The cold front clears by the evening leaving all of the UK in the cooler air and with the cloud clearing and light winds as the ridge becomes established quite a chilly start to Thursday, with maybe a ground frost in places,.but then a pleasant day with plenty of sunny intervals with the odd shower in western regions. 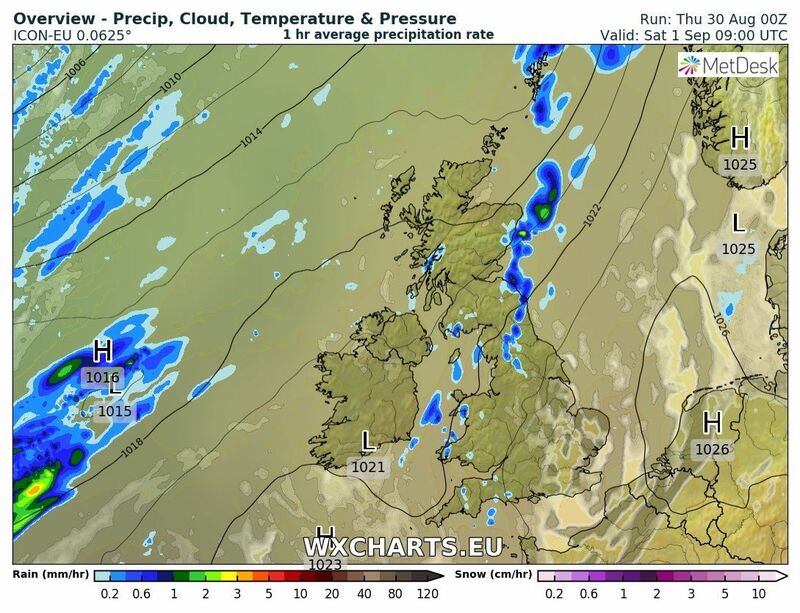 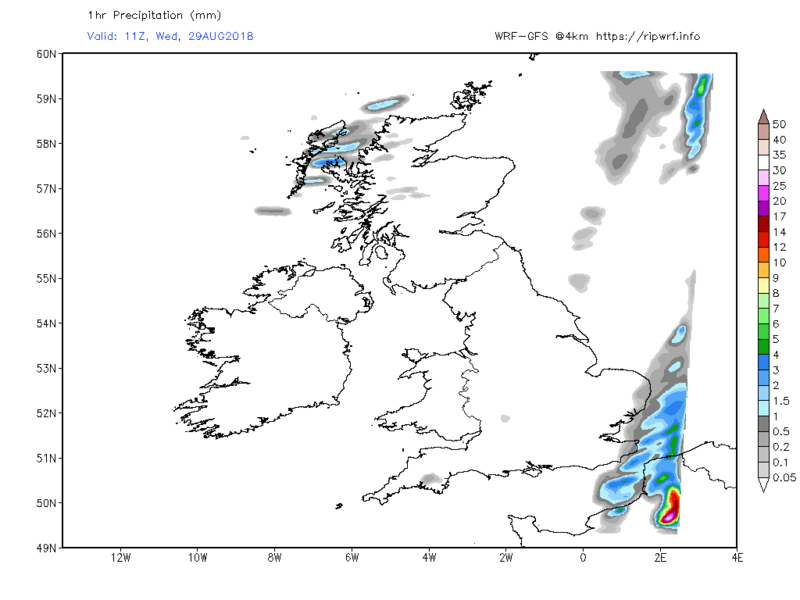 A not dissimilar day on Friday, perhaps a tad warmer, but there may well be some regional variations vis cloud amounts depending on the precise orientation of the high cell. 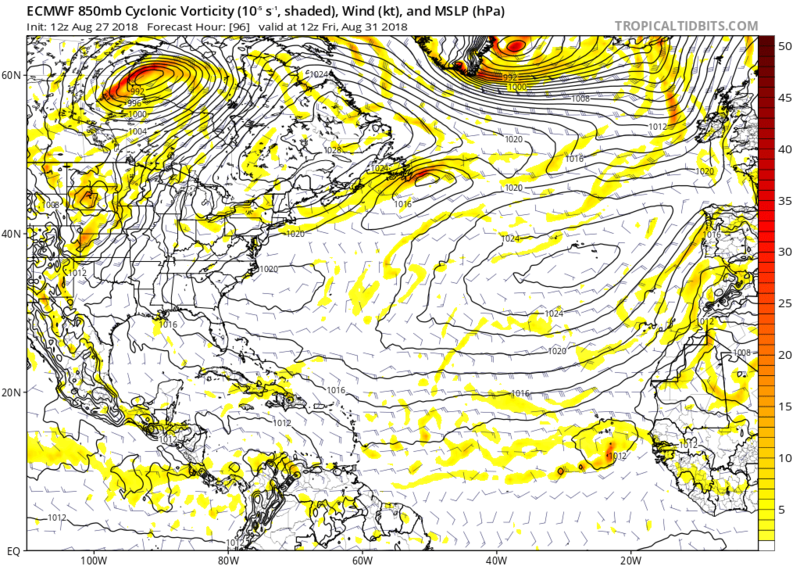 But as can be seen on the above surface analysis there is plenty of activity still to the west in the Atlantic with sundry waves forming and running north east on the jet and then north as they hit the block. 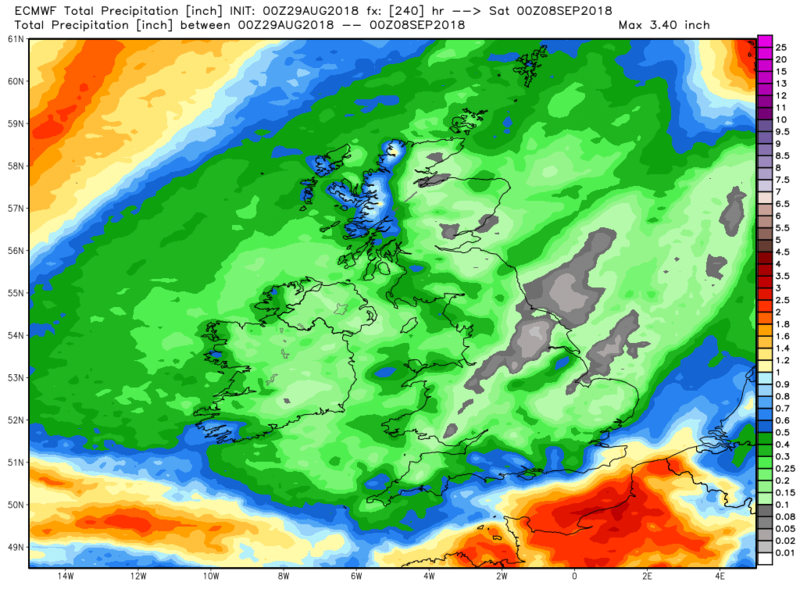 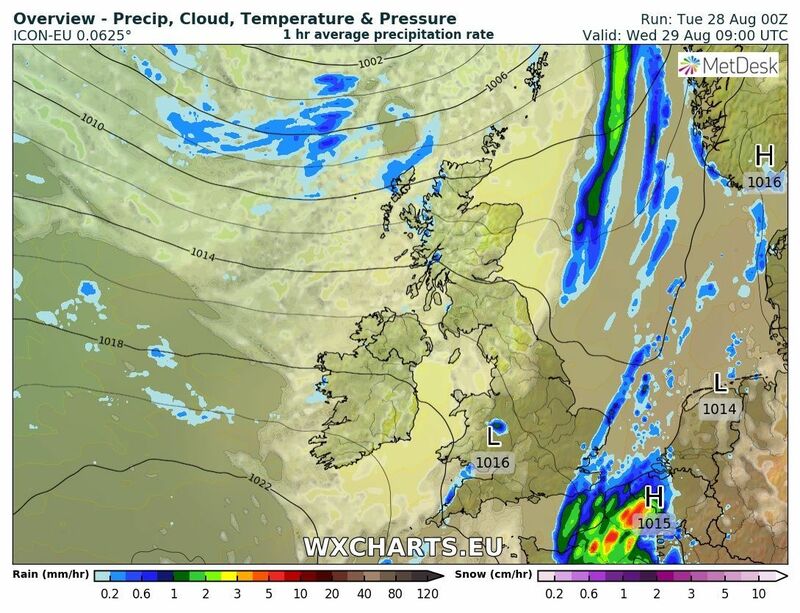 Thus the associated fronts only tend to impact the NW/W of the UK with cloud and patchy rain in these regions whilst the S/SE remains dry and quite sunny and becoming warmer by Sunday. 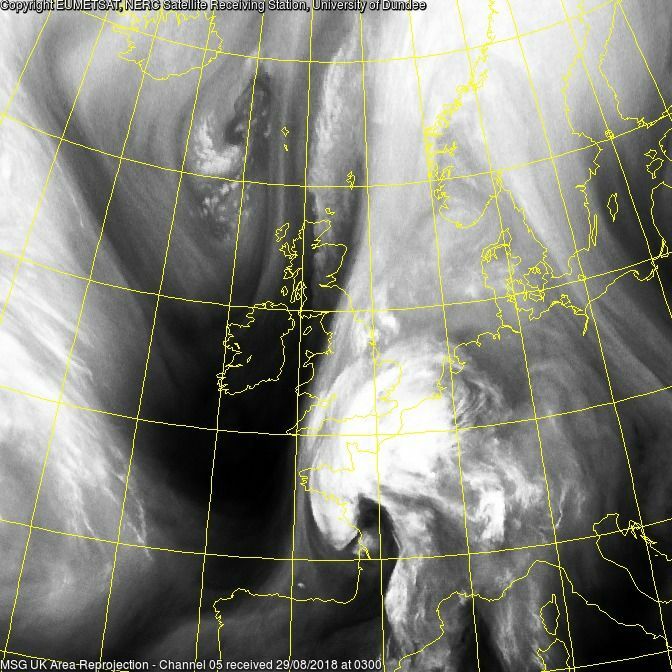 Quite an impressive 0600 sat image. 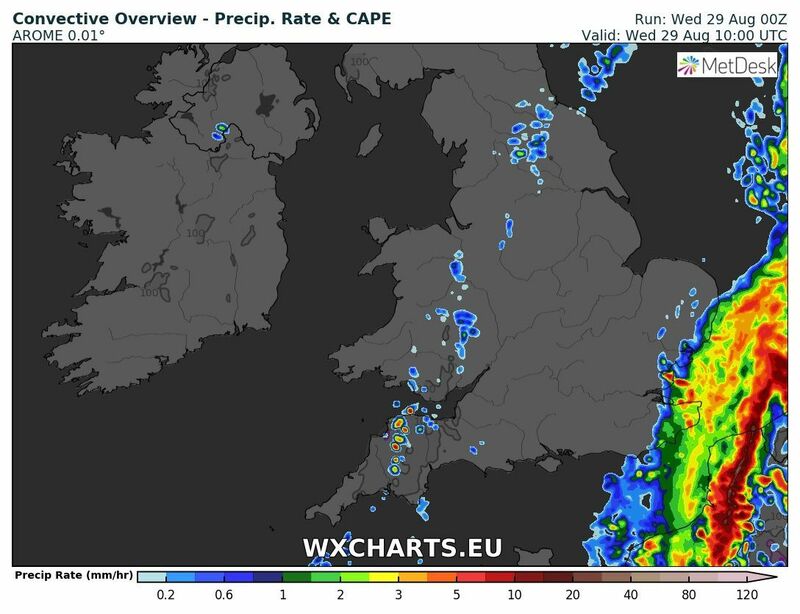 Seems a good fit with this mornings heavy rain in the SE. 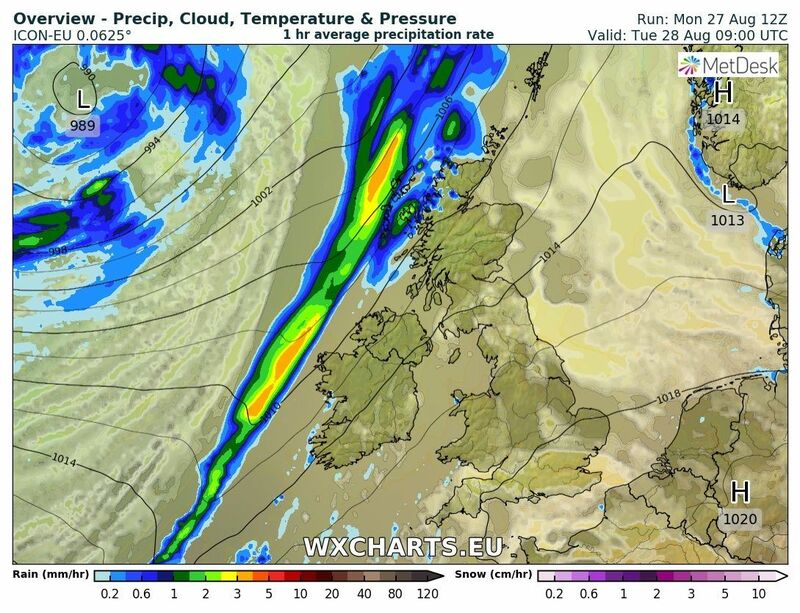 Quite a good depiction of the showery airstream behind the cold front on the 0900 sat image. 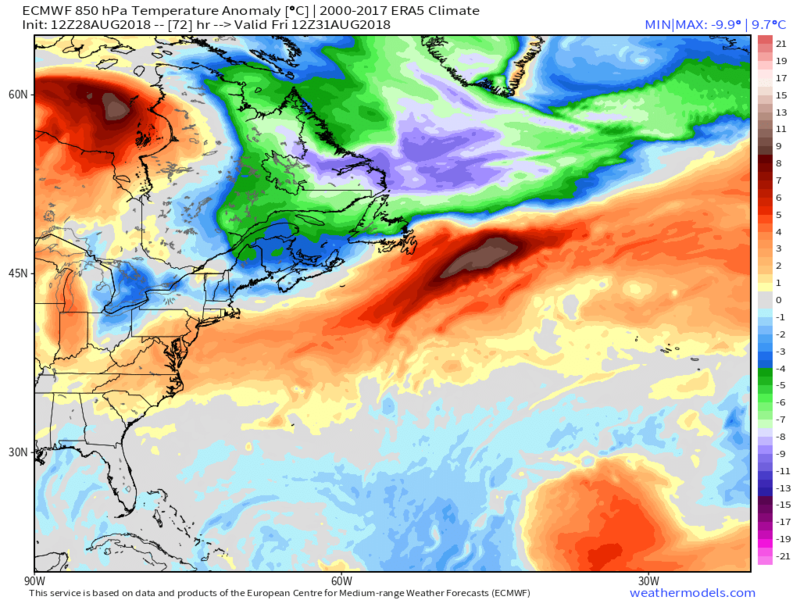 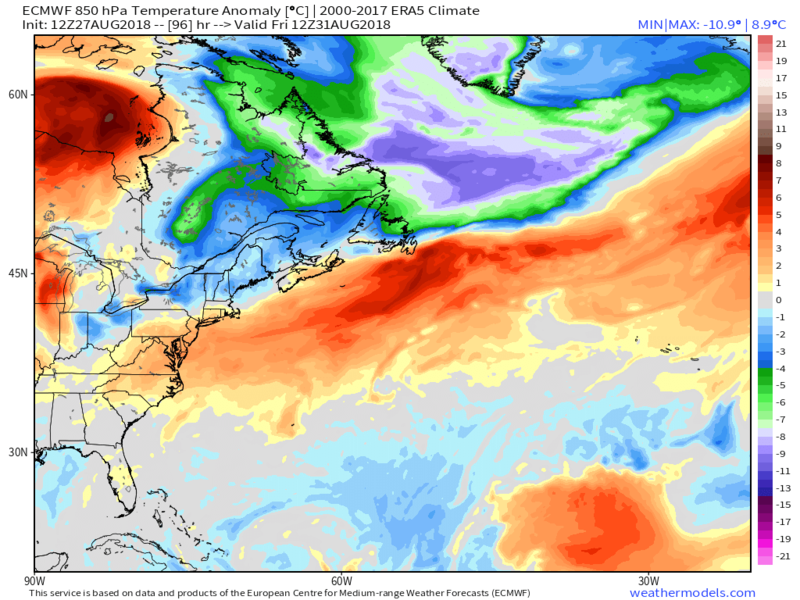 Last night’s EPS anomalies tend to put in context where the evolution in the Atlantic and Europe has been indicated for a few days. 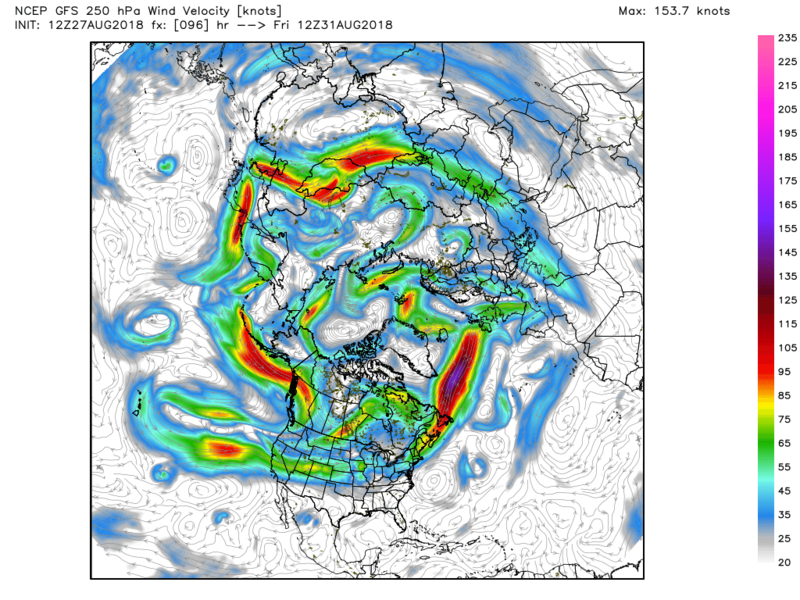 A slight adjustment of the orientation of the low/vortex complex over the Pole/N. 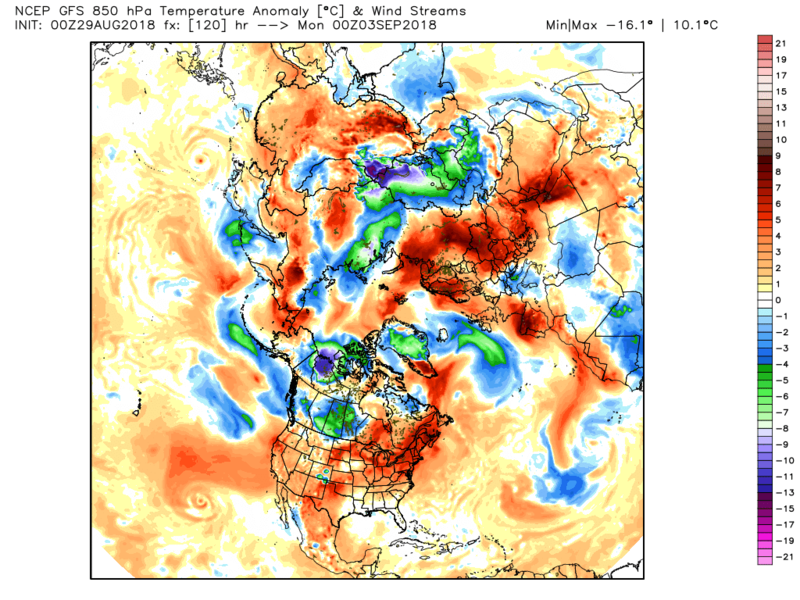 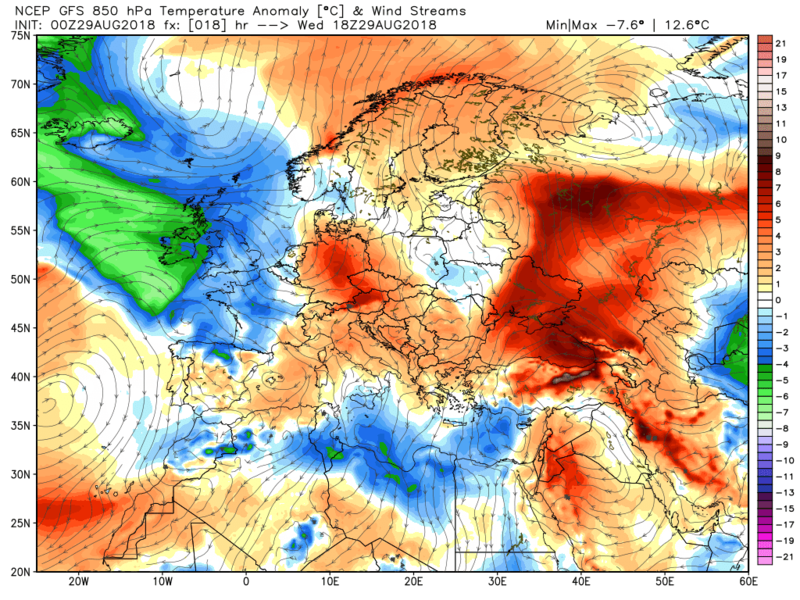 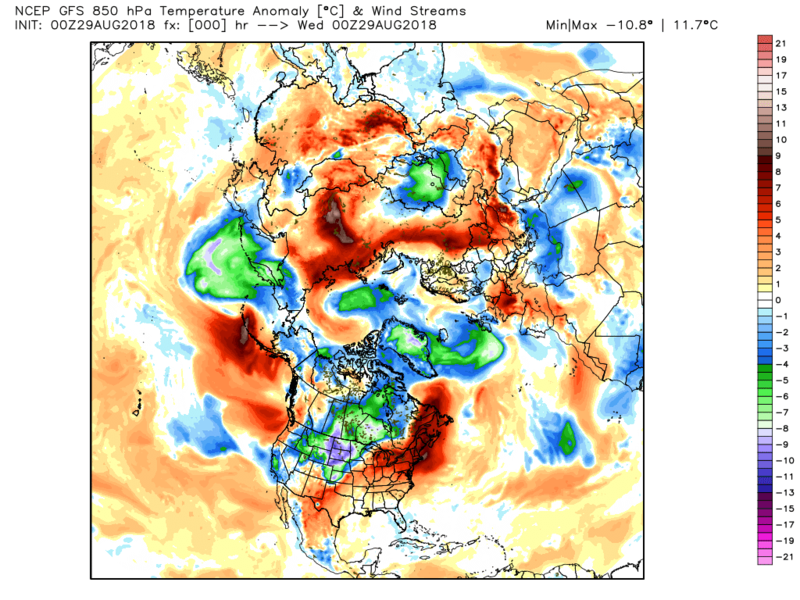 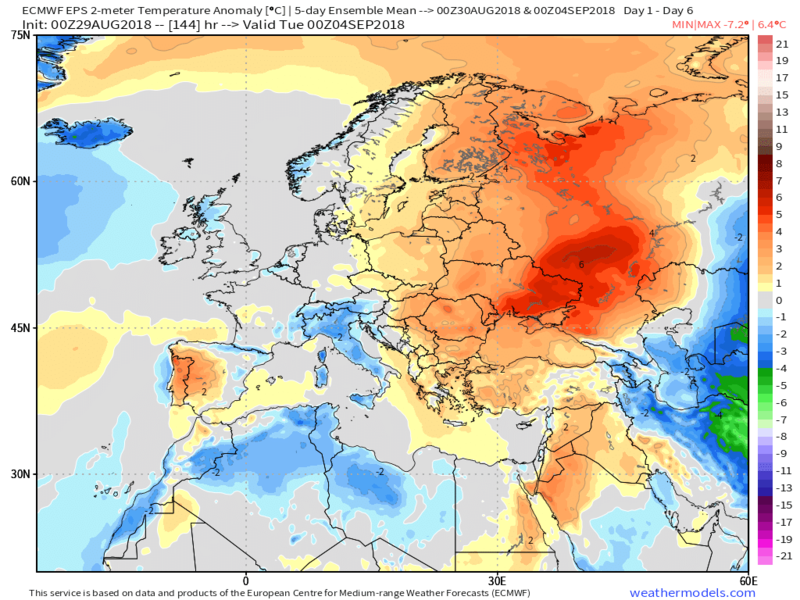 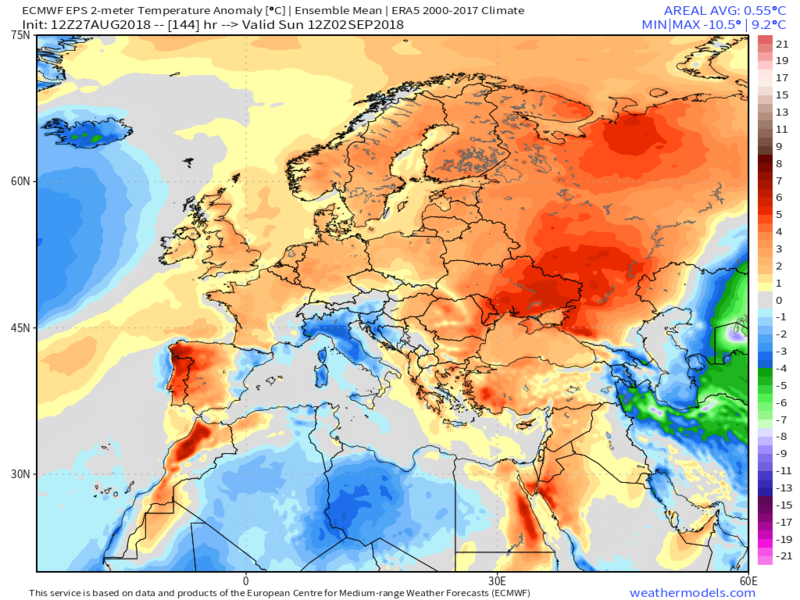 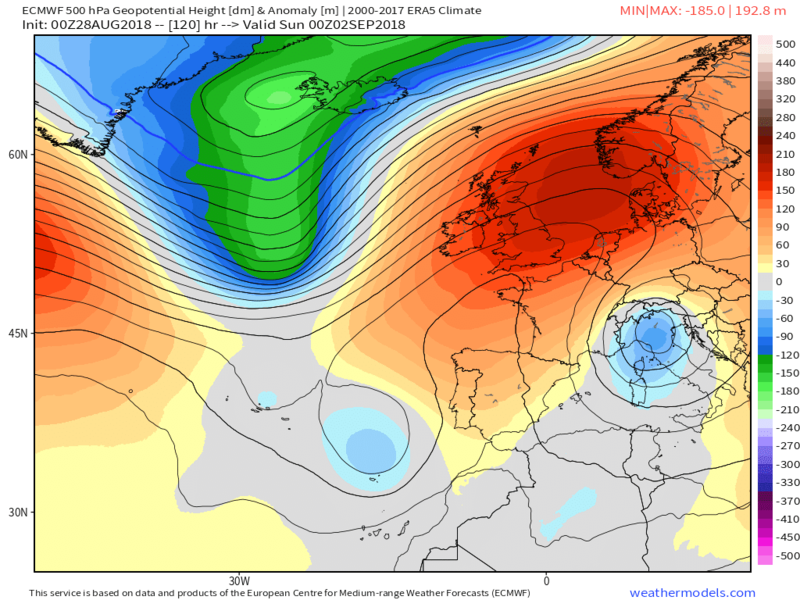 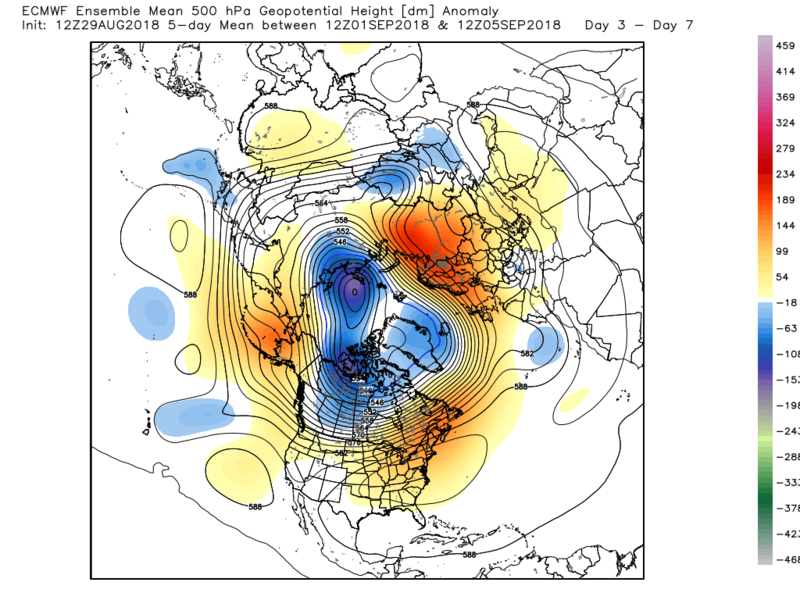 Canada/ Greenland, ridging in NE/N Europe with strong positive anomalies ad low pressure to the south/south and west of the UK all facilitates ridging from the Atlantic into northern Europe and portends a fairly lengthy period of settled and dry weather for most of the UK. 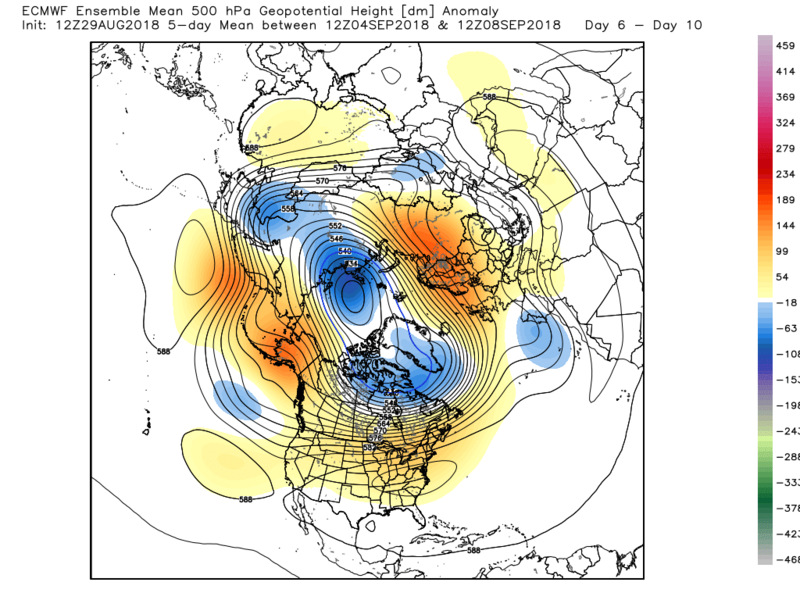 Still a lot of energy exiting the NE of N. America, north of the high pressure in the south east, but it backs south westerly in mid Atlantic and mainly swings north of the UK, courtesy of the block, but may still impact the north and thus tending to a NW/SE split. 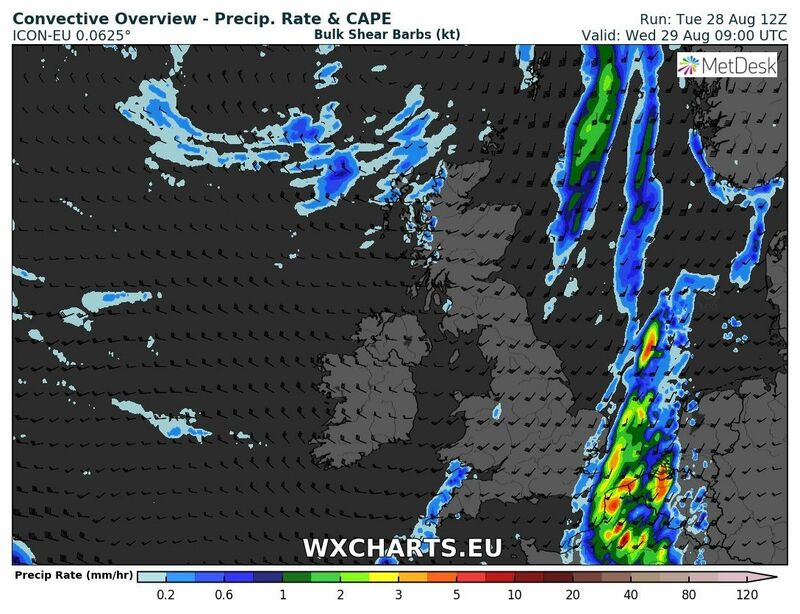 The orientation of the surface high cell will likely determine the cloud and temp distribution as well as the diurnal spread of the latter. 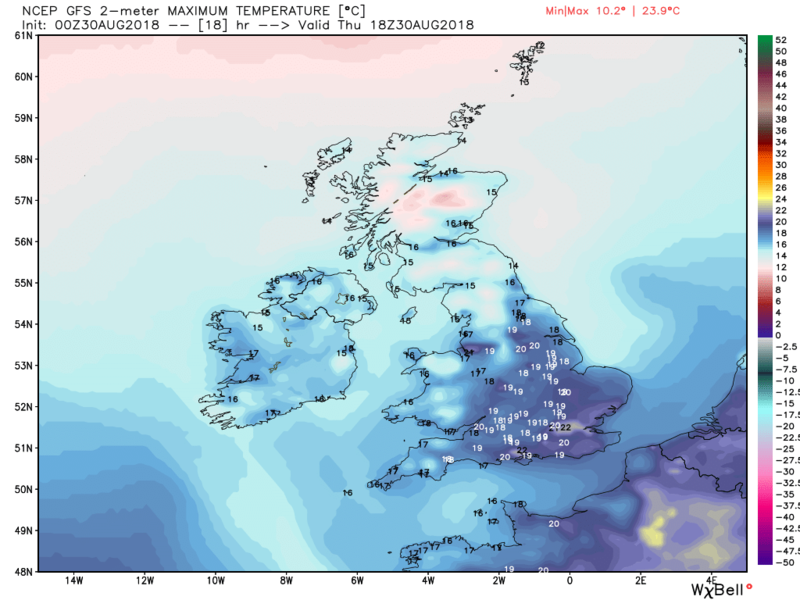 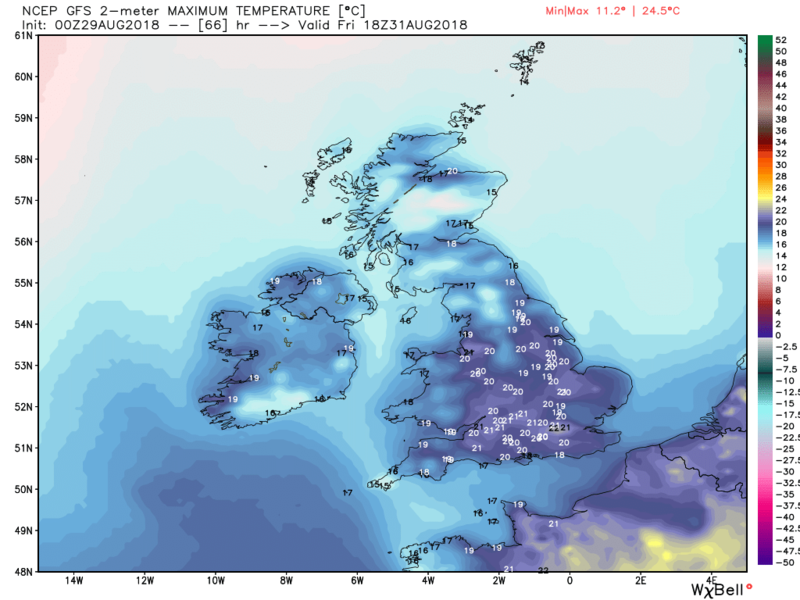 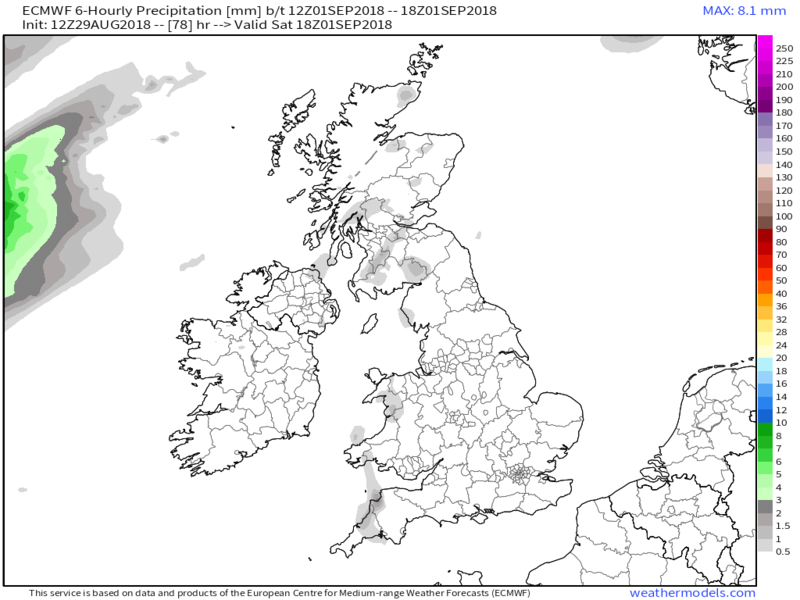 In the meantime, with high pressure becoming influential overnight, most of yesterdays cloud and showers will have gone resulting in quite a cool morning in many places with a ground frost possible in the usual spots in the north. 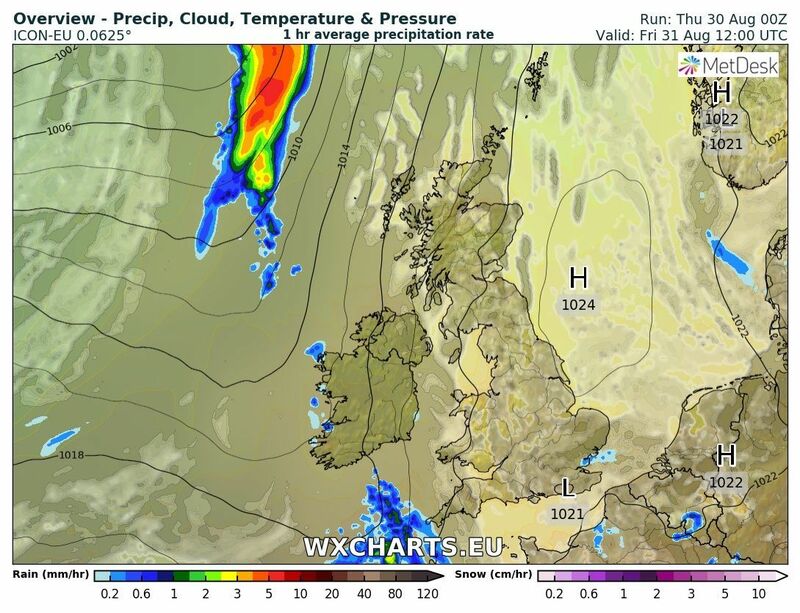 The showers and cloud will tend to dissipate overnight heralding another cool morning on Friday and then a similar day to today, perhaps a tad warmer, The one proviso being that fronts, associated with the deep low in the Denmark Straits, have edged east and may bring some cloud and patchy rain to the far south west. 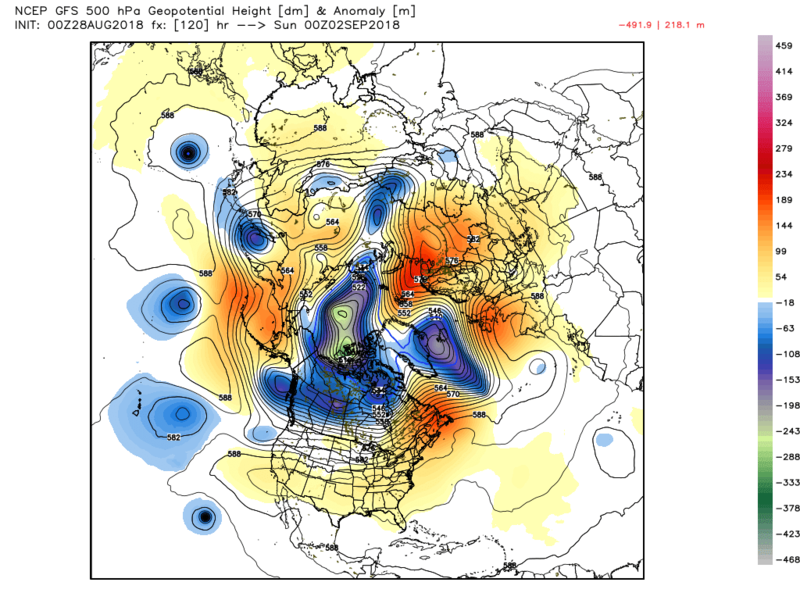 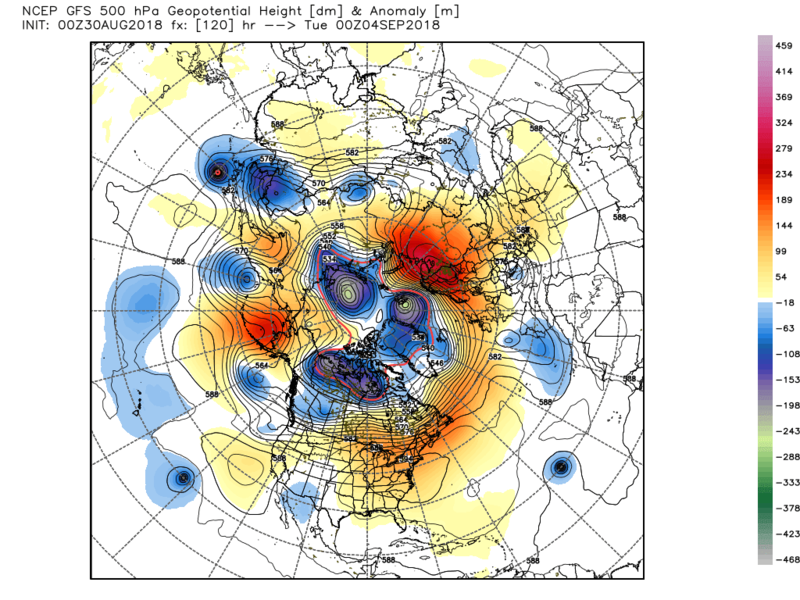 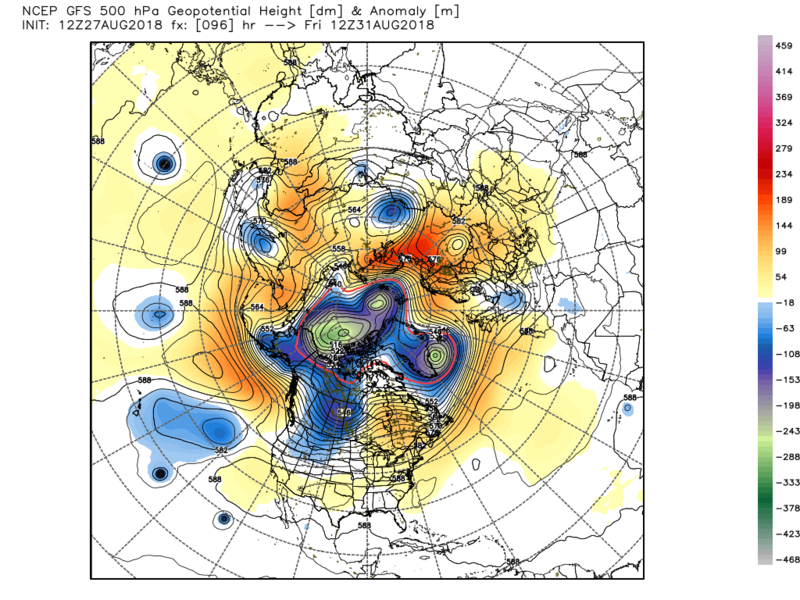 The story of the weekend is essentially the aforementioned fronts struggling against the blocking ridge. 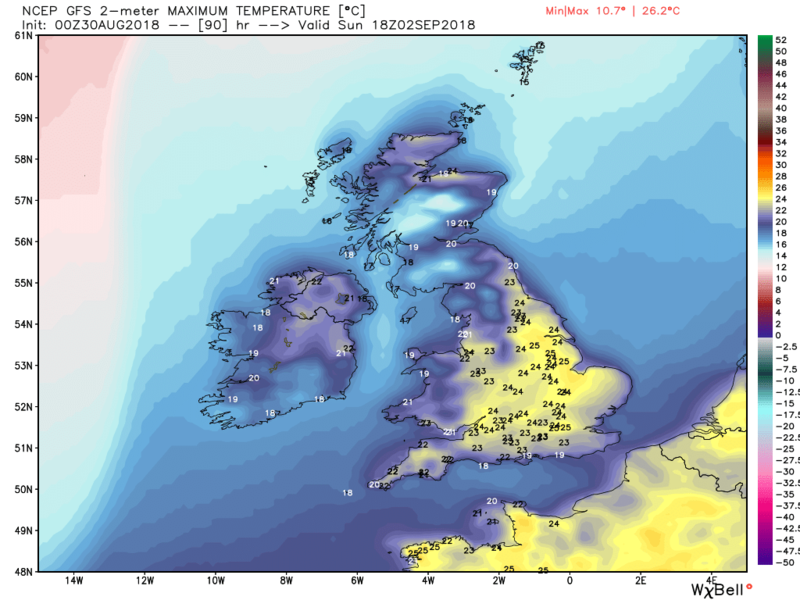 Thus on saturday cloud and patchy rain will effect NW and W areas whilst further east it will be sunnier and quite warm. 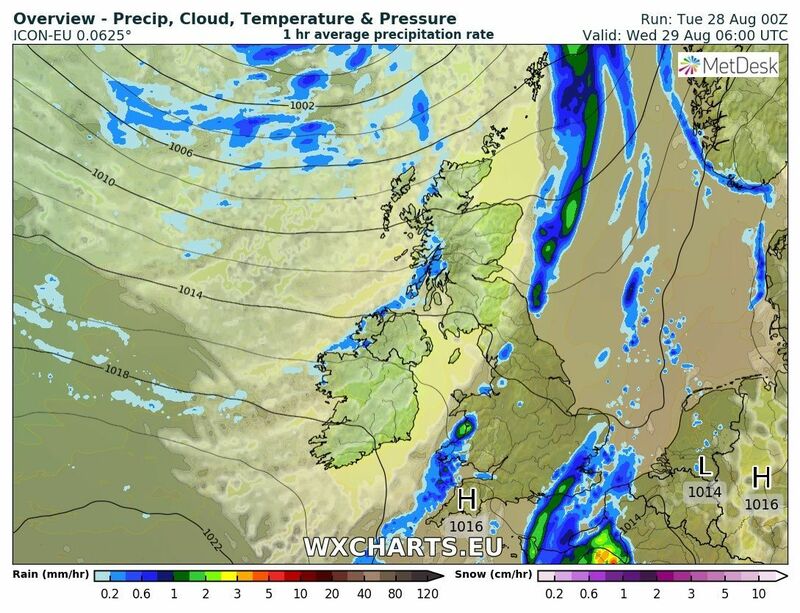 On Monday the fronts are still traversing the country so to the north west more cloud and possible some light rain in places whilst again to the south east sunnier and getting a tad warmer.